Sh. 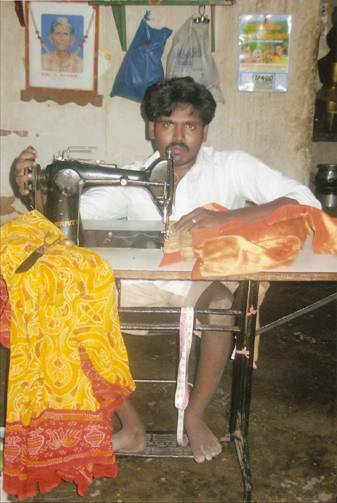 K. Ibramsha is an orthopaedically disabled with 50% disability from a small village in of Trichy, Tamil Nadu was yearning to start his small tailoring shop as he was well trained in stitching and tailoring work. Through his close relative he comes to know about the National Handicapped Finance and Development Corporations (NHFDCs) scheme through Trichy District Central Cooperative Bank for disabled persons. His family supported him and helped him to obtain a loan of Rs.50,000/- in Sept, 2012 to start a small tailoring shop from his house. With his expertise in stitching of gents garments his shop become popular in local area in short time. He is now earning an income of Rs.10,000/- p.m. and giving financial support to his family. Sh. N. Ravi of Perambalur Distinct Tamil Nadu is an orthopaedically disabled with 60% disability. 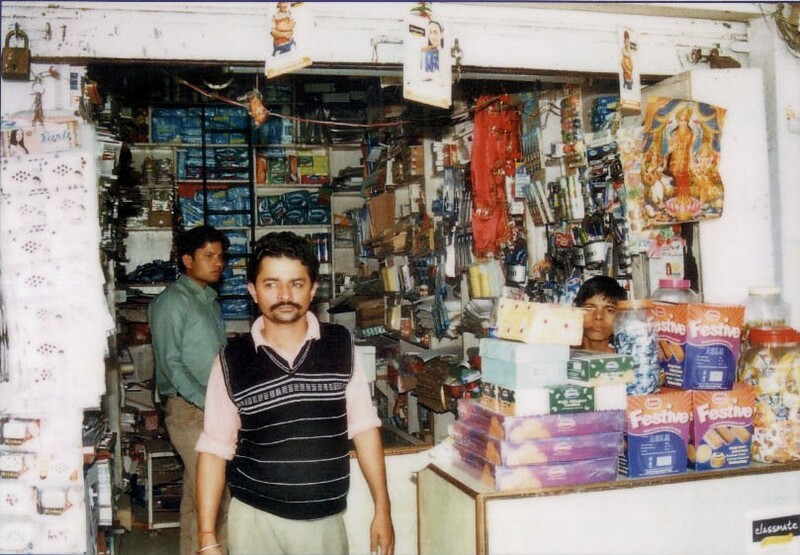 He was running his provision store in losses due to credit sales and in need financial support foe long time to give life to his sinking business. One day he comes to know about the National Handicapped Finance and Development Corporations (NHFDCs) scheme through Tirchy District Central Cooperative Bank for disabled persons from the official of Primary Cooperative Society Members in his village. He applied for loan and availed a loan of Rs.4,50,000/- under the schemes of NHFDC and expanded his provision store with one floor mill. 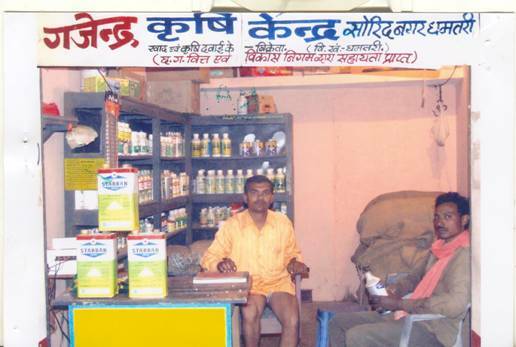 He is now generating income of Rs.550,000/- per annum through this business. With income from this business, he get some confident that instead of disability constraint he can live a respectful life. He is thankful to support he got TDCCB/NHFDC which give life to his sinking business. Sh. A. Kaja Mohideen of Samayapuram Trichy is an orthopaedically disabled with 65% disability. He was running his cement shop at small sale. He want is in dare need financial support in order to expand his business to support his family of eight member. One day from collectrate office he comes to know about the National Handicapped Finance and Development Corporations (NHFDCs) scheme through Salem District Cooperative Bank. He was given loan of Rs.45000/- under the schemes of NHFDC and expanded his cement trading business with mobile sale. His hard work yielded fruits in short time and now he is earning Rs.5,00,000/- per annum through this business. 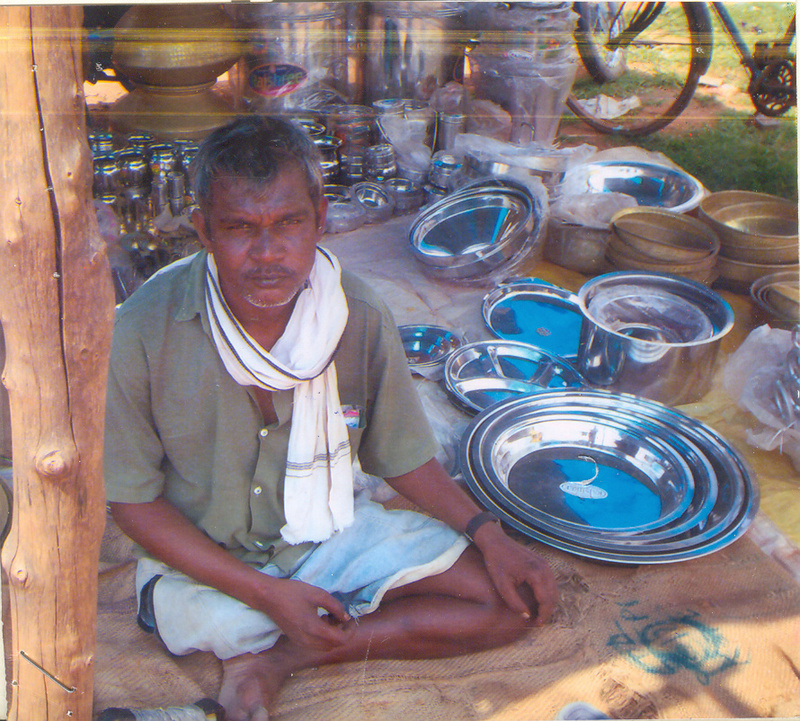 With income from this business, he has become economically self reliant and giving a respectable life to his family. SH. S. PRAKASH of Trichy, Tamil Nadu is an mentally retarded person and entire dependent on his parents for carry out his day to day activities. His parents to establish some business so that their son after their exit from this world able of earn his livelihood. His father who is legal guardian of SH. S. PRAKASH who was doing marketing job of Agarbatis & Perfumes, come to from collectrate office self employment schemes of National Handicapped Finance and Development Corporations (NHFDCs) scheme through Trichy District Central Cooperative Bank. He was given loan of Rs.85500/- under the schemes of NHFDC and started a small Agarbati Making unit from his house. 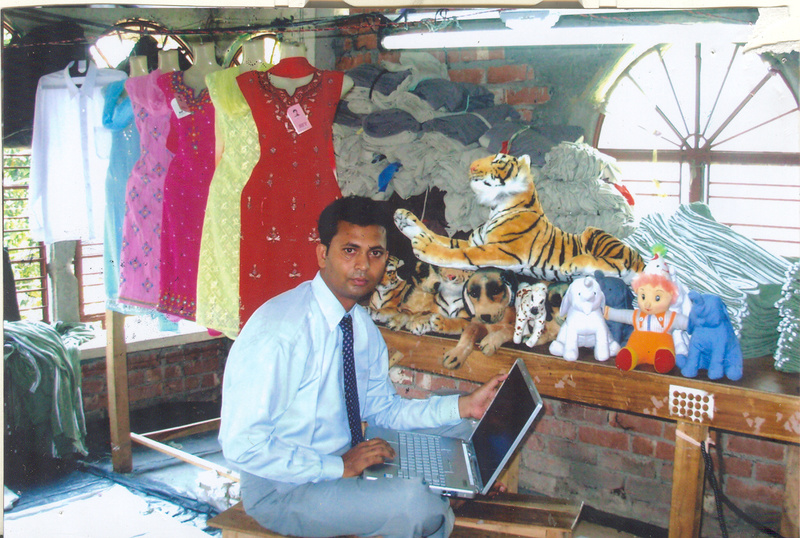 He is now generating an income of Rs.300,000/- per annum through this business. His father is somewhat satisfied & relax, that the his business will give livelihood to his son even after their exit from this world. Smt Sagar l. Bhagvandas is an orthopaedically Handicapped with more than 65% disability. She availed loan of Rs. 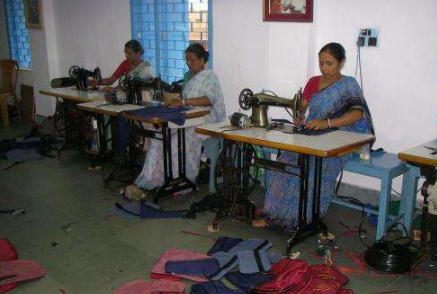 30,000/- for Tailoring Shop from Gujarat Minorities Finance and Development Corporation (GMFDC) under National Handicapped Finance and Development Corporation Scheme (NHFDC) Schemes. 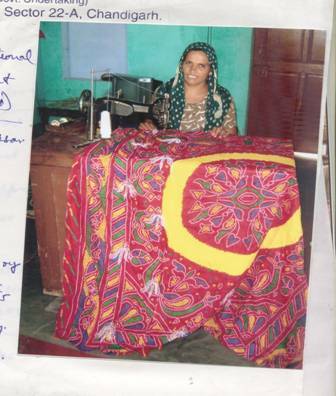 After taking loan she established her own tailoring shop in her house and has given employment to one persons. Her monthly income increased to Rs. 5,000/- per month and she is repaying installments of loan dues in time. She is very happy & thankful to NHFDC for financial help. SH. 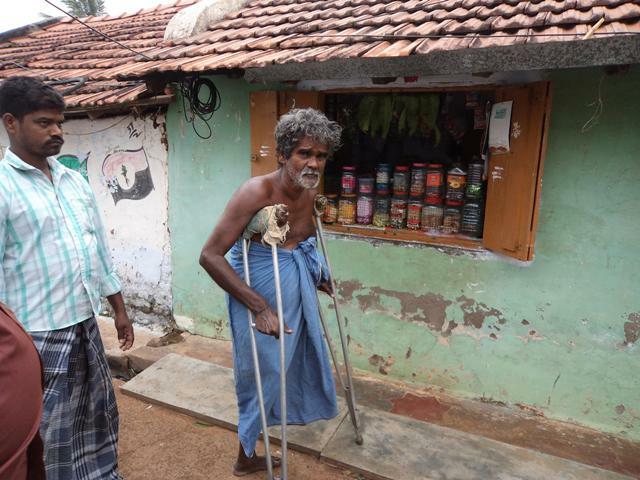 K. PERIYASAMY of Athanurpatti, Valapadi Taluk, Salem, Tamilnadu is Orthopaedically disabled with 60% disability. 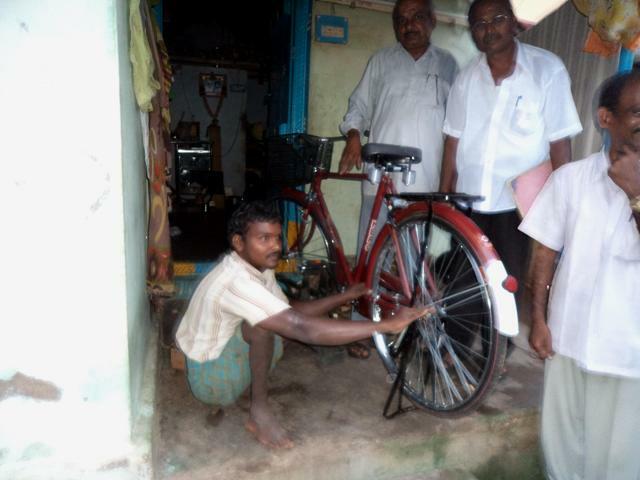 He was given loan of Rs.10,000/- under the schemes of NHFDC to started Cycle shop. 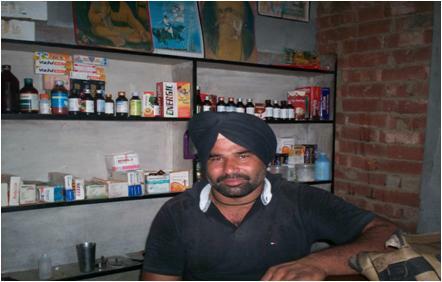 He is generating income of Rs.30,000/- per annum through this business. 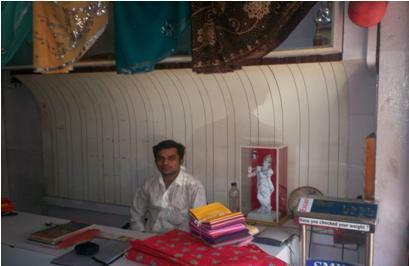 With income from this business, he has become economically self reliant and also supporting his family financially. SH. S. Periyasami of Bharathi Nagar, Vanavasi Po. Mettur, Salem, Tamilnadu is Orthopaedically disabled with 45% disability. 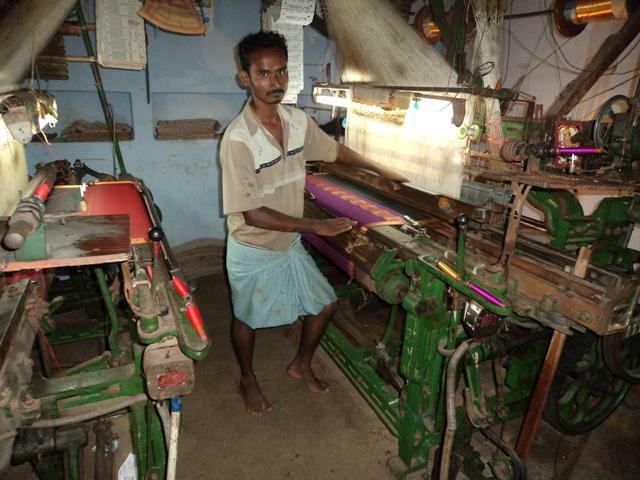 He was given loan of Rs.20,000/- under the schemes of NHFDC to started Handloom and powerloom business. 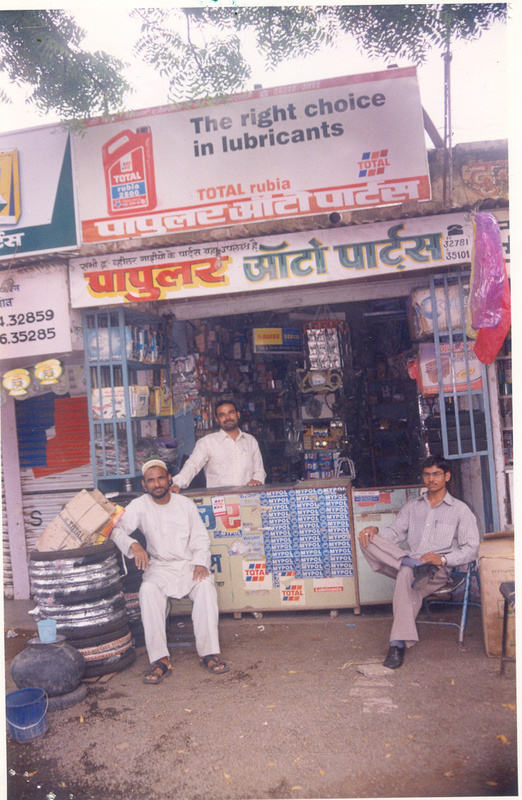 He is generating income of Rs.1,00,000/- per annum through this business. 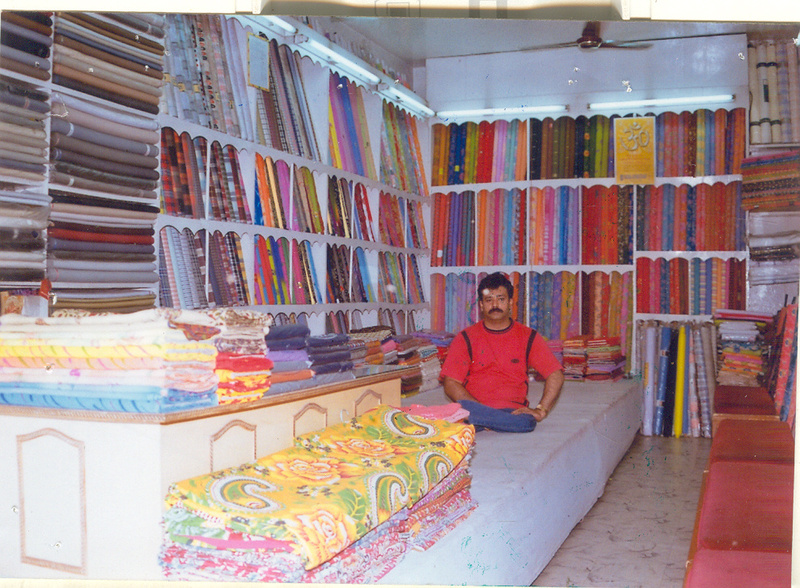 With income from this business, he has become economically self reliant and also supporting his family financially. MS. P. SUDHA of Pillaiyar Koil Street, M. Tadunur , Salem,Tamilnadu is orthopaedically disabled with 75% disability. 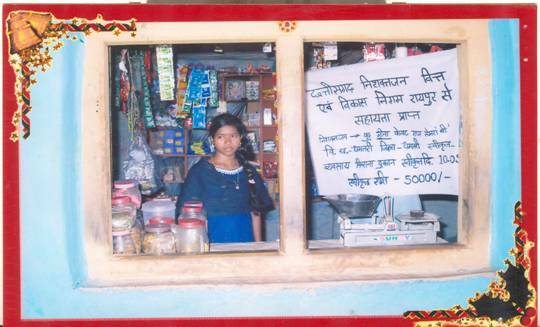 She was given loan of Rs.50,000/- under the schemes of NHFDC to started Provisional Store business. 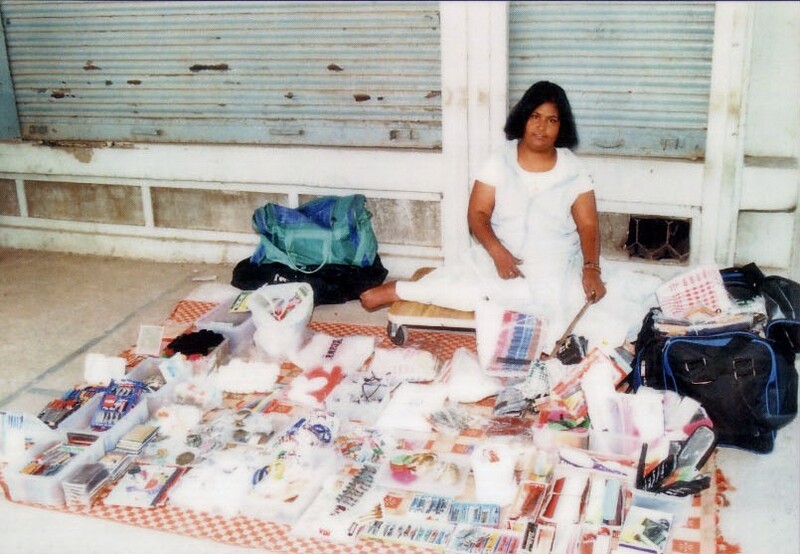 She is generating income of Rs.24,000/- per annum through this business. 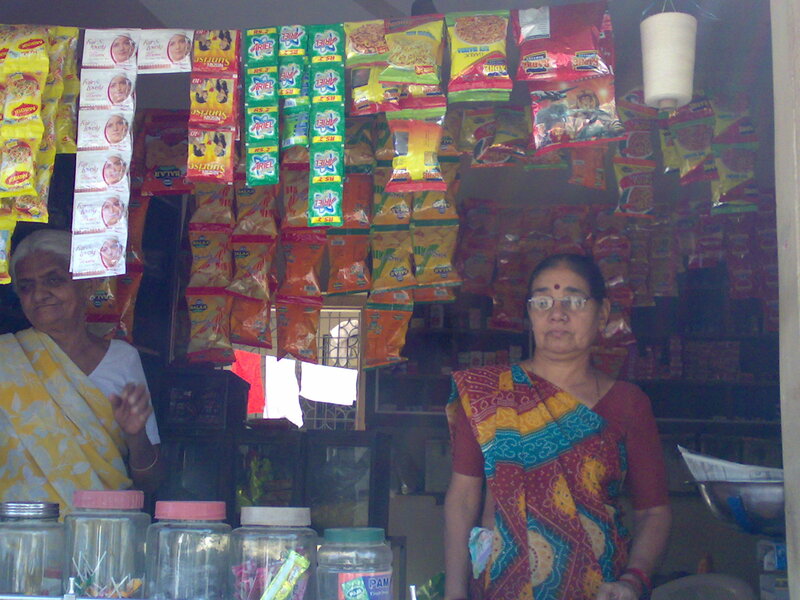 With income from this business, she has become economically self reliant and also supporting her family financially. Sh. C. Manoharan of Anna Nagar Colony, M. Tadunur , Salem, Tamil nadu is Visually disabled with 100% disability. 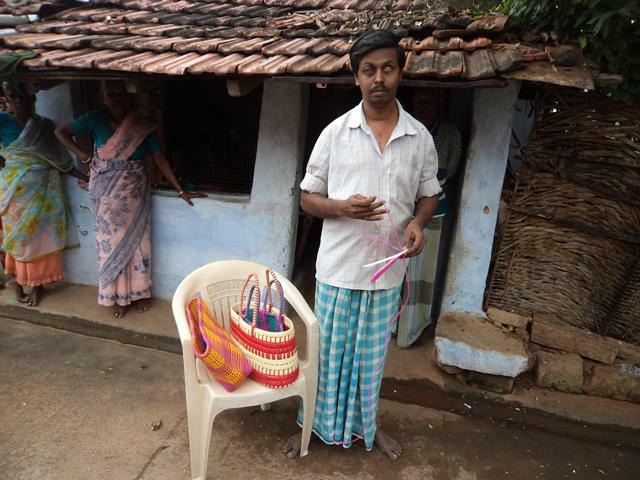 He was given loan of Rs.20,000/- under the schemes of NHFDC to started Wire basket making business. 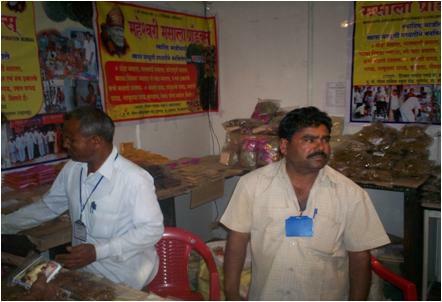 He is generating income of Rs.30,000/- per annum through this business. 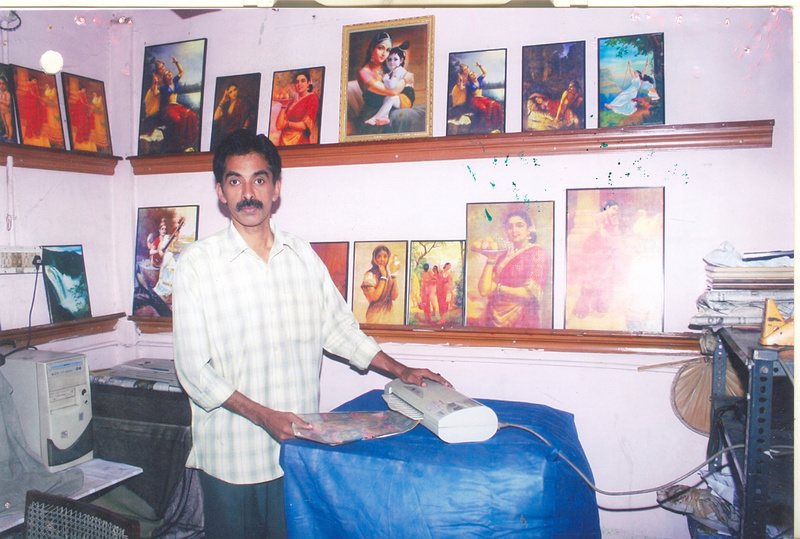 With income from this business, he has become economically self reliant and also supporting his family financially. SH. S. SELVARAJ of Muttaikadai Colony, M. Tadunur , Salem, Tamilnadu is orthopaedically disabled with 80% disability. 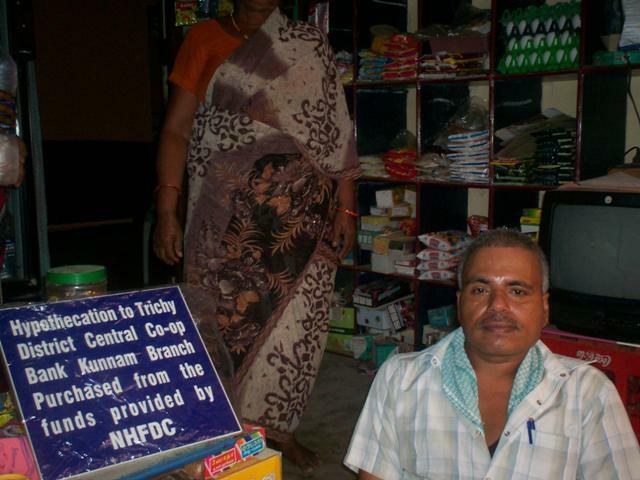 He was given loan of Rs.20,000/- under the schemes of NHFDC to started Provisional Store business. 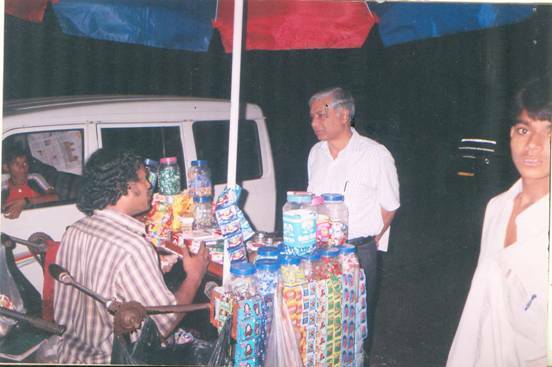 He is generating income of Rs.30,000/- per annum through this business. 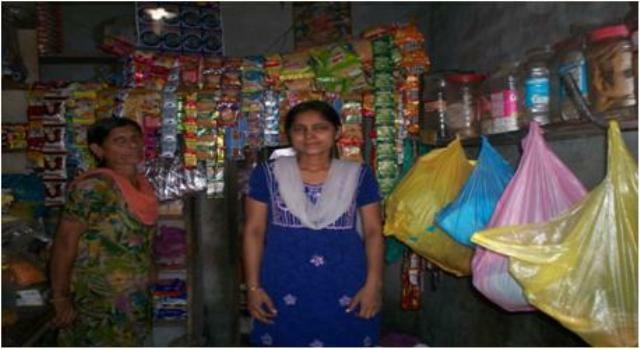 With income from this business, she has become economically self reliant and also supporting her family financially. Smt N. Santhi of Santhiya Colony, M. Tadunur , Salem, Tamilnadu is orthopaedically disabled with 60% disability. 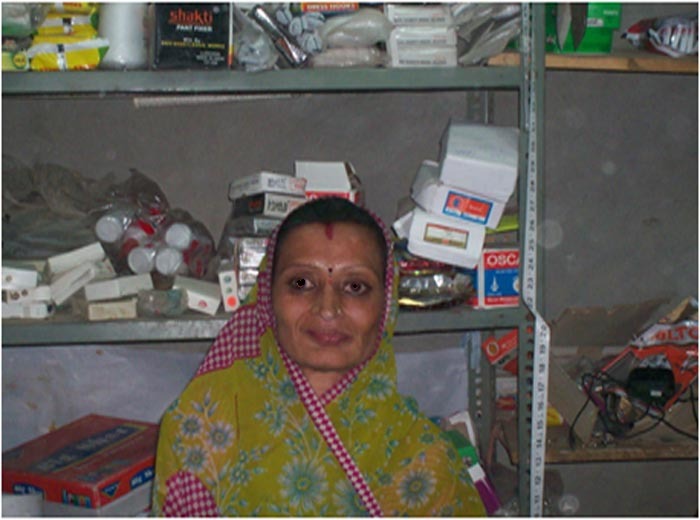 She was given loan of Rs.75,000/- under the schemes of NHFDC to started Provisional Store business. She is generating income of Rs.60,000/- per annum through this business. 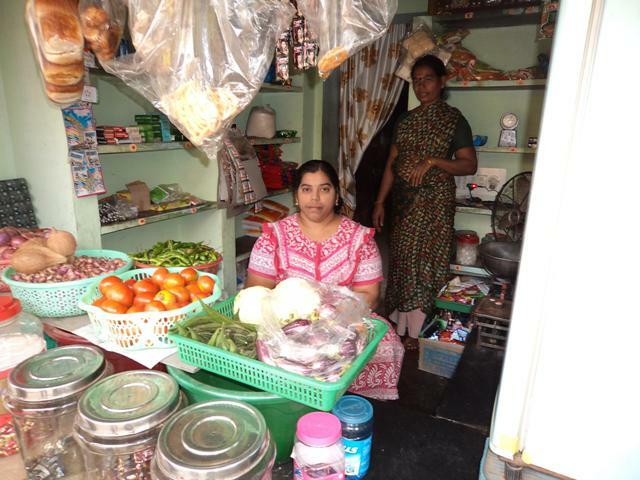 With income from this business, she has become economically self reliant and also supporting her family financially. Shri Jagtar Singh an Orthopaedically Handicapped with 60% disability of Gurdaspur District Punjab was finding very difficult to manage his household with the meagre earnings in private job . He wanted to take up some work to supplement his family's income. One day, while going through an advertisement published in local newspaper he came across an on National Handicapped Finance and Development Corporations (NHFDCs) concessional credit schemes through Punjab Scheduled Castes Land Finance & Development Corporation (PSCLFDC).He applied to PSCLFDC and got a loan of Rs. 50,000/- during March,,2009 and set up his own tailoring shop from his home. 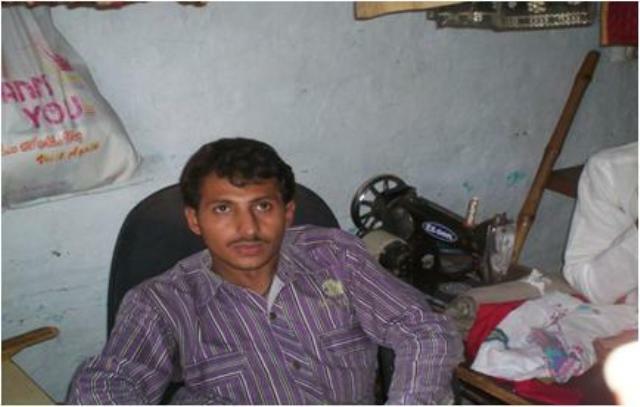 With his proficiency in stitching men's garments he has been able to earn a net amount of Rs.6000/- per month. He is regular in repayment of his loan installments and better placed to afford good life of his family. Besides tailoring work he is also doing LIC insurance agents job. Sh. Jagtar Singh Gurdaspur Punjab is an Orthopaedically Handicapped with 80% disability His father came to know about the schemes of financial assistance for handicapped persons from district office of Punjab Scheduled Castes Land Finance & Development Corporation (PSCLFDC). He was sanctioned loan to an extent of Rs. 47,500/- under the schemes of NHFDC to starting a General Store. 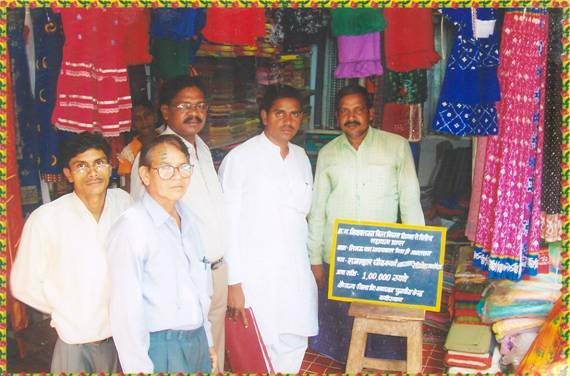 With the help of his family members, he constructed a room to set up the Kirana Store. Due to his hard work and sincere efforts now, he is earning Rs. 5,000/- to Rs. 8000/- per month. With the income from the shop, he has raised the social status of his family. He is paying her loan dues regularly. Sh. Balraj Singh an Orthopaedically Handicapped with 40% disability of Gurdaspur District was finding it difficult to make both ends meet with his meagre earnings from causal job. His financial condition started to take a better turn when he availed a loan under schemes National Handicapped Finance and Development Corporations (NHFDCs) through Punjab Scheduled Castes Land Finance & Development Corporation (PSCLFDC). With loan amount of Rs.47500/- he establish a mobile shop from his house. He increased his customer base by selling wide range of mobile and his prompt service. This has enabled him to earn Rs.8000/- per month. He is happy to have got loan at a low interest rate and is also regular in repayment of dues. Shri Baldev Singh an Orthopaedically Handicapped with 80% disability of Gurdaspur District Punjab was not able to manage his household expenses four members with a meagre income from odd job as an Agricultural labourer. He always wanted to increased his family income . When he heard about the schemes of National Handicapped Finance and Development Corporations (NHFDCs) schemes from District Office of Punjab Scheduled Castes Land Finance & Development Corporation (PSCLFDC) he grab the opportunity with both hands and took a loan of Rs. 95000/- for purchasing four murrah buffalos. He is now able to earn around Rs. 10000/- by sale of milk in local cooperative dairy. He his quite contented to have improved his family's economic condition with the soft loan from NHFDC. Shri Manpreet Singh is an Visually Handicapped with 70% disability helping his father in his local stationary item vendoring. His father tried everywhere for financial assistance but could not get the same. He came to know about the financial assistance schemes of National Handicapped Finance and Development Corporation (NHFDC) through Punjab Scheduled Castes Land Finance & Development Corporation (PSCLFDC). He applied to PSCLFDC with the help of his family members and got a loan of Rs. 50,000/-. With his hard work and support from family members he is now earning Rs. 4000 per month which help him a lot in improving his family income. 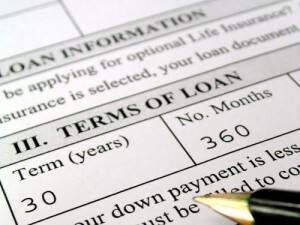 He is quite regular in repayment of loan installment. Shri Puran Bagh Singh an Orthopaedically Handicapped with 50% disability of Gurdaspur District Punjab used to toil doing odd jobs here and there. His meagre earnings of about Rs.12000/- per month were not sufficient to meet his family's needs and he often had to borrow to maintain his family. One day he came to know about the schemes of National Handicapped Finance and Development Corporations (NHFDCs) schemes from District Office of Punjab Scheduled Castes Land Finance & Development Corporation (PSCLFDC). 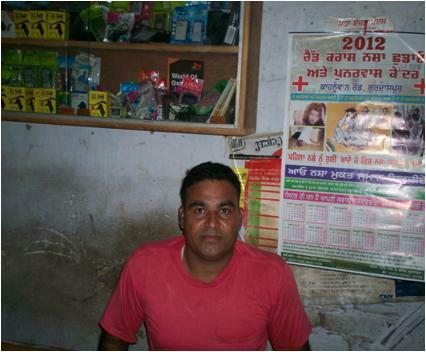 As he had some experience od working in Medical Shop\, he took a small shop on rent near tehsil office and with the NHFDCs loan of Rs. 50000/- established his own Kirana &Vet. Medicine shop. Gradually he increased his business through continuous hard work. Now he is very happy to have increased monthly income and respect in society. His increased income Rs.8000/- per month which enabled him to afford better education for his children and improve his overall standard of living. He is regular in repayment of his loan installments. 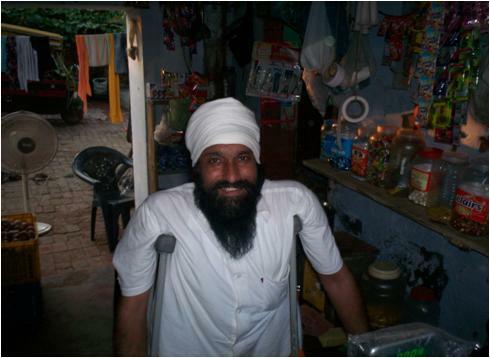 Shri Satpal is an Orthopedic Handicapped with 45% disability residing in the remote town of Gurdaspur. He was striving hard to earn his livelihood. He has taken a small loan of Rs.25000/- from social welfare department of Punjab state Govt under BPL scheme and started a small stationary shop. His hard work yielded fruits and his business started running well. 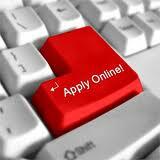 He wanted to expand his business and for that he wanted more financial assistance. He tried everywhere for financial assistance but could not get the same. He came to know about the financial assistance under the schemes of National Handicapped Finance and Development Corporation (NHFDC) through Punjab Scheduled Castes Land Finance & Development Corporation (PSCLFDC) .He applied for loan to PSCLFDC and got a loan of Rs. 95,000/-. His investment proved to be a success and now he is earning Rs 15,000/- per month and a successful businessman in the town. He is repaying the monthly installments of loan regularly. Sh. Mahinder of Bas Dudha,Rewari, Haryana is orthopaedicallydisabled with 75% disability. He was found it difficult to manage his household expenditure. One day he came to know about the financial assistance schemes of National Handicapped Finance and Development Corporation (NHFDC) through Haryana Backward Classes Economically & Weaker Section Kalyan Nigam. He was given loan of Rs. 50,000/- under the schemes of NHFDC to start/establish new Kirana shop and generated income of Rs.48,000/- per annum through this business. He is now repaying the monthly installments of loan regularly. With income from this business, he has become economically self reliant and also supporting his family financially. Shri Giriraj Mohan Kakade an Orthopaedically Handicapped with 40% disability was residing Kohlapur. He was found it difficult to manage his household expenditure with his father income from private job. He always wished for increasing his income. One day he came to know about the financial assistance schemes of National Handicapped Finance and Development Corporation (NHFDC) through Maharashtra State Handicapped Finance and Development Corporation (MSHFDC). 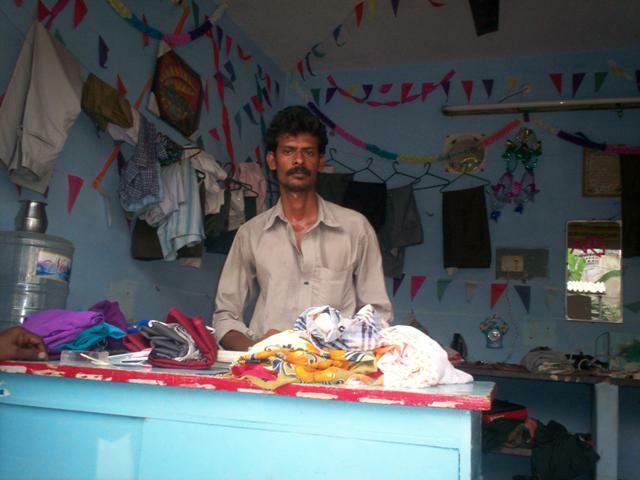 He took a loan of Rs.50000/- and started a small readymade garment shop from a rented premises. 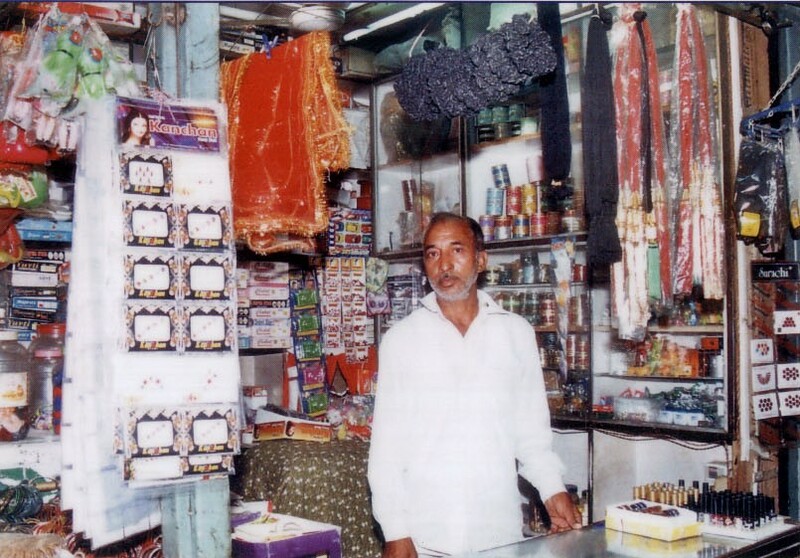 He maintained regular timings of her shop and stocked a wide varieity of items thus improved his sales. He is now repaying the monthly installments of loan regularly. He is fully satisfied with the assistance and motivating others to avail assistance under NHFDC Schemes. Sh. Vinod Kumar an Orthopaedically Handicapped with 40% disability of Sirsa District was finding it difficult to make both ends meet with his meagre earinings from causal job. His financial condition started to take a better turn when he availed a loan under schemes National Handicapped Finance and Development Corporations (NHFDCs) through Haryana Backward Classes Weaker Sections Minorities Kalyan Nigam (HBCWSKN). 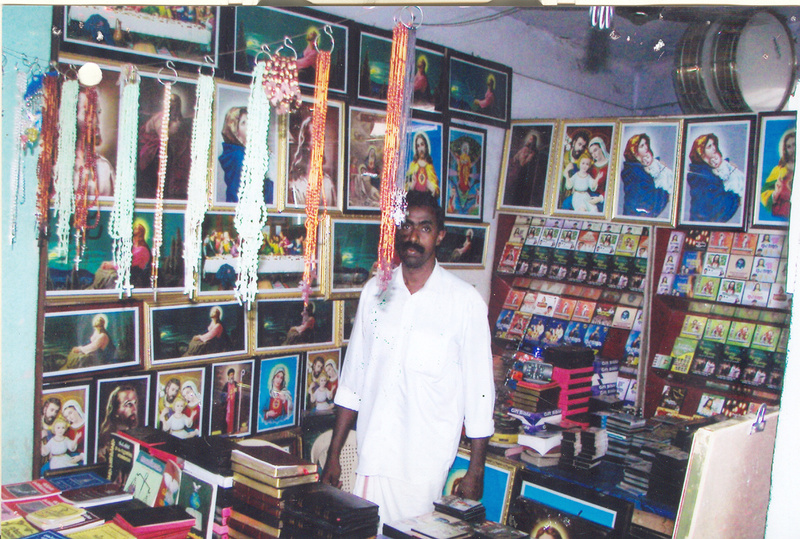 With loan amount of Rs.50000/- he establish a mobile shop from his house. 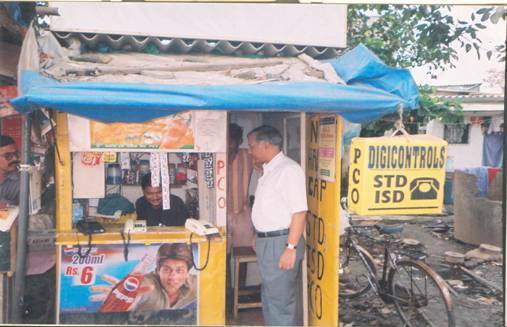 He increased his customer base by selling wide range of mobile and his prompt service. This has enabled him to earn Rs.8000/- per month. He is regular in repayment of his loan installments. Shri Sushil Kumar is an Orthopedic Handicapped with 70% disability helping his father in his local ice cream vendering.. His father tried everywhere for financial assistance but could not get the same. He came to know about the financial assistance schemes of National Handicapped Finance and Development Corporation (NHFDC) through Haryana Backward Classes Weaker Sections Minorities Kalyan Nigam (HBCWSKN). She applied to HBCWSKN with the help of her family members and got a loan of Rs. 50,000/-. 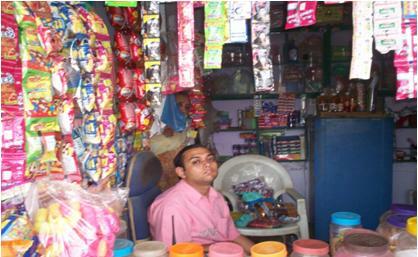 He is now running his Kirana shop with the help of his parents and happy to have been supplementing family income. He is quite regular in repayment of loan installment. Sh. Ganesh Dhrikant D. an Orthopaedically Handicapped with 40% disability lived in poverty as his family was living working as an agricultural labourer. One day he came to know about the financial assistance schemes of National Handicapped Finance and Development Corporation (NHFDC) through Maharashtra State Handicapped Finance and Development Corporation (MSHFDC). He applied to MSHFDC, Kohlapur and got a loan of Rs. 50,000/-. And started Photocopy and STD Booth from rented shop. Now he is able to earn an average income of Rs. 7,000/- per month. He is now repaying the monthly installments of loan regularly. Sh. Amit Sudhakar Tapare an Orthopaedically Handicapped with 50% disability was residing in the remote area of District Kohlapur. He was managing the needs of his family through private job under a advocate in district court. He always wished for increasing his income. He tried everywhere for financial assistance but could not get the same. He came to know about the financial assistance schemes of National Handicapped Finance and Development Corporation (NHFDC) through Maharashtra State Handicapped Finance and Development Corporation (MSHFDC). He applied to MSHFDC, Kohlapur and got a loan of Rs. 80,000/-. 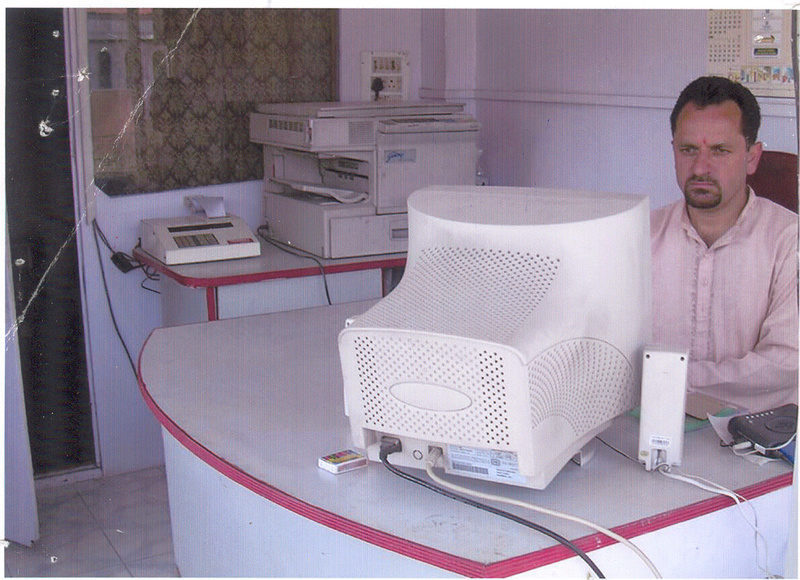 He purchased two computer set with printer from the loan availed. He is being well versed with computer fundamentals and his investment proved to be a success and his monthly income increased from Rs 5,000/- per month to Rs. 12,000/- per month. He is now repaying the monthly installments of loan regularly. Sh. 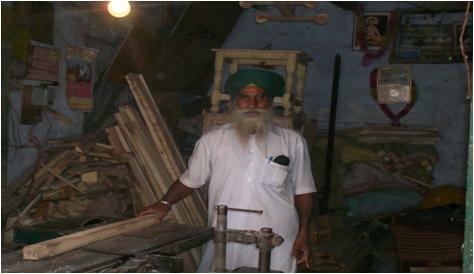 Iqbal Singh an Orthopaedically Handicapped with 40% disability of Sirsa District was struggling to earn his livelihood from his small furniture shop. He wanted to expand his business. One day, he came across the schemes National Handicapped Finance and Development Corporations (NHFDCs) through Haryana Backward Classes Weaker Sections Minorities Kalyan Nigam (HBCWSKN). He applied to HBCWSKN, Sirsa and got a loan of Rs. 50,000/- during March,,2011 and purchase one karad machine and some other tools/implements.. In small span of time he capture local market with the help of his brother and he is also sending his furniture to big markets like Delhi, Chandigarh etc. He is regular in repayment of his loan installments. Besides he also employed two persons in his shop. Smt. Tanu Sharma an Orthopaedically Handicapped with 40% disability of Sirsa District was finding very difficult to manage his household with the meagre earnings of her husbands who is in a private job . She wanted to take up some work to supplement his family's income. One day, she come to know about National Handicapped Finance and Development Corporations (NHFDCs) concessional credit schemes through Haryana Backward Classes Weaker Sections Minorities Kalyan Nigam (HBCWSKN). She applied to HBCWSKN Sirsa and got a loan of Rs. 50,000/- to start tailoring job work from her home. She maintained the quality of services and kept prices reasonable. 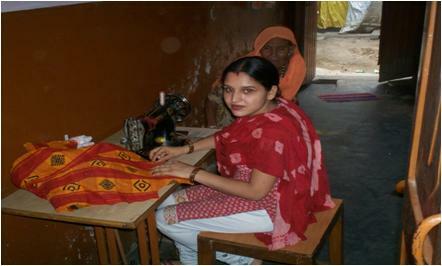 With her proficiency in stitching various ladies garments, she has been able to earn about Rs.3000/- per month. Ms. Aruna Rani is an Hearing Handicapped with 100% disability was residing in the remote area of Sirsa. She was fully dependent on his family member for day to day needs. She always wished to stand on her feet's and wanted to supplements her family income. She tried everywhere for financial assistance but could not get the same. She came to know about the financial assistance schemes of National Handicapped Finance and Development Corporation (NHFDC) through Haryana Backward Classes Weaker Sections Minorities Kalyan Nigam (HBCWSKN). She applied to HBCWSKN with the help of her family members and got a loan of Rs. 25,000/-. Her investment proved to be a success and now she is earning her Rs 2,000/- per month. She is repaying the monthly installments of loan regularly. She has applied for repeat loan of Rs.5000/- to HBCWSKN for expansion of her shop. Shri Avresh Kumar an Orthopaedically Handicapped with 50% disability of Sirsa District was finding very difficult to manage his household with the meagre earnings in private job . He wanted to take up some work to supplement his family's income. One day, while going through an advertisement published in local newspaper he came across an on National Handicapped Finance and Development Corporations (NHFDCs) concessional credit schemes through Haryana Backward Classes Weaker Sections Minorities Kalyan Nigam (HBCWSKN). He applied to HBCWSKN Sirsa and got a loan of Rs. 50,000/- during Aug,,2010 and set up his own tailoring shop. He maintained the quality of his products and kept prices reasonable. He expanded his business with the help of his close friend who is also an Orthopaedically Handicapped person and he is now happy to earn a net amount of Rs.6000/- per month. He is regular in repayment of his loan installments and better placed to afford good life of his family. Besides he also employed two persons in his shop. Sh. Naveen Kumar an Orthopaedically Handicapped with 40% disability of Sirsa District was struggling to earn his livelihood in private job. He wanted to take up some work to supplement his family's income. One day, he came across the schemes National Handicapped Finance and Development Corporations (NHFDCs) through Haryana Backward Classes Weaker Sections Minorities Kalyan Nigam (HBCWSKN). He applied to HBCWSKN, Sirsa and got a loan of Rs. 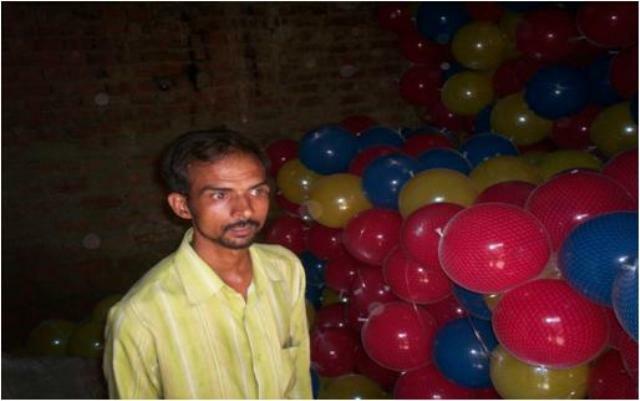 50,000/- during March,,2010 and set up his own plastic ball manufacturing unit from his house. He maintained the quality of his products and kept prices reasonable. In small span of time he capture local market with the help of his brother and he is now happy to earn a net amount of Rs.10,000/- per month. He is regular in repayment of his loan installments. Besides he also employed three persons in his shop. Before availing loan, Shri Rauram Sen faced many financial problems to while earning his livelihood. He came to know about the concessional credit schemes of NHFDC through awareness camps and ward meetings organized by Rajasthan S.C. & S.T. Finance & Development Cooperative Corporation (RSCFDC), Jaisalmer. She came forward to avail financial assistance and took a loan of Rs. 40,000/- under National Handicapped Finance and Development Corporation (NHFDC) Scheme in 2006. The beneficiary was working in some barber shop earlier. 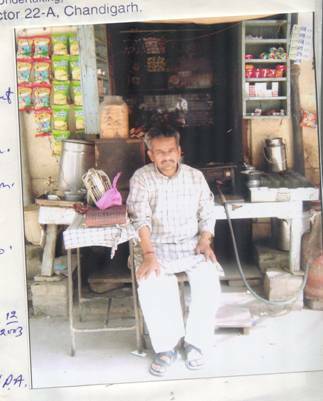 With the loan availed he started saloon shop and he is satisfied that he has his own shop. The shop was allotted from the government quota. He is regular in repayment of his loan installments and better placed to afford good life of his family. Shri Sushil Kumar an Orthopaedically Handicapped with 50% disability of Sirsa District was finding very difficult to manage his household with the meagre earnings in private job . He wanted to take up some work to supplement his family's income. One day, while going through the local newspaper he came across an advertisement polished on National Handicapped Finance and Development Corporations (NHFDCs) concessional credit schemes through Haryana Backward Classes Weaker Sections Minorities Kalyan Nigam (HBCWSKN). He applied to HBCWSKN Sirsa and got a loan of Rs. 50,000/- to set up his own tailoring shop. He maintained the quality of his products and kept prices reasonable. His business expanded and he is now happy to earn a net amount of Rs.6000/- per month. He is regular in repayment of his loan installments and better placed to afford good life of his family. Besides he also employed two persons in his shop. Smt. Mohini Devi W/o Sh. Vinod Kumar an Orthopaedically Handicapped with 70% disability of Sirsa District found very difficult to manage her household with the meagre earnings of her husband engaged in private job . She wanted to contribute and supplement her family's earning. She worked for some time in a Beauty Parlour in her neighborhood but the wages she got was very low. One day she came to know about the financial assistance schemes of National Handicapped Finance and Development Corporation (NHFDC) through Haryana Backward Classes Weaker Sections Minorities Kalyan Nigam (HBCWSKN). He applied to HBCWSKN Sirsa and got a loan of Rs. 50,000/-. 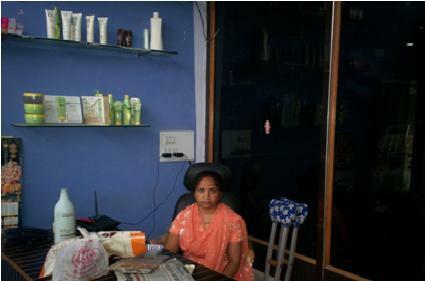 With the loan she established her Beauty Parlour business in a rented shop. Her pleasant manners, personalized services and variety of treatments enabled her to expand client base. She is now able to earn Rs.10,000 per month. She is repaying the monthly installments of loan regularly. She is thankful to NHFDC for helping her to achieve dignity and economic prosperity. Shri Dinkar Namdev an Orthopaedically Handicapped with 40% disability was residing in the remote village of Kopergaon, District Ahmednagar. He was managing the needs of his family through a small spices processing & trading unit. He always wished for increasing his income. He tried everywhere for financial assistance but could not get the same. He came to know about the financial assistance schemes of National Handicapped Finance and Development Corporation (NHFDC) through Maharashtra State Handicapped Finance and Development Corporation (MSHFDC). 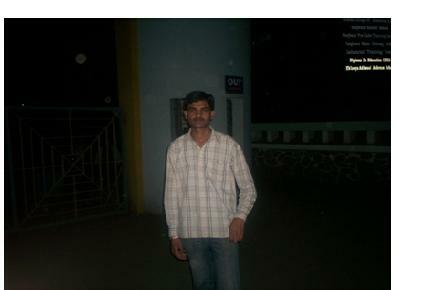 He applied to MSHFDC, Ahmednagar and got a loan of Rs. 1,50,000/-. 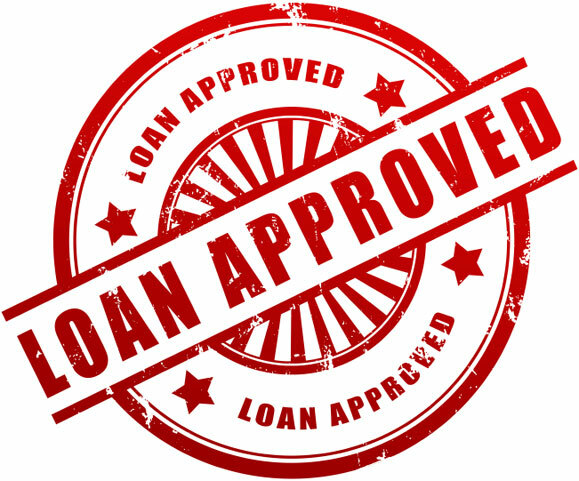 He expanded his business with the loan availed. His investment proved to be a success and his monthly income increased from Rs 8,000/- per month to Rs. 15,000/- per month. He is now repaying the monthly installments of loan regularly. 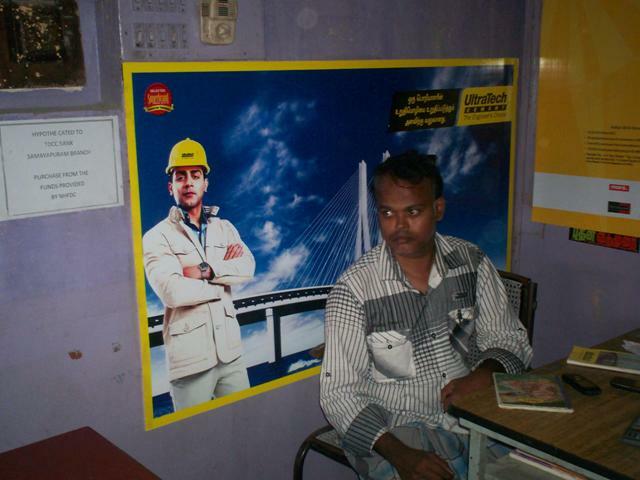 He is fully satisfied with the assistance and is inspiring others to avail assistance under NHFDC Schemes. Sh. 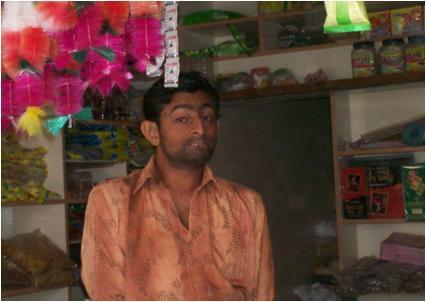 Ashok Kumar, Ramgarh Jaisalmer Rajasthan is an Mentally Retarded person with IQ 20%. His father who is also guardian of Sh. Ashok Kumar came to know about the schemes of financial assistance for handicapped persons. He was sanctioned loan to an extent of Rs. 50,000/- under the schemes of NHFDC to start a Kirana Shop. 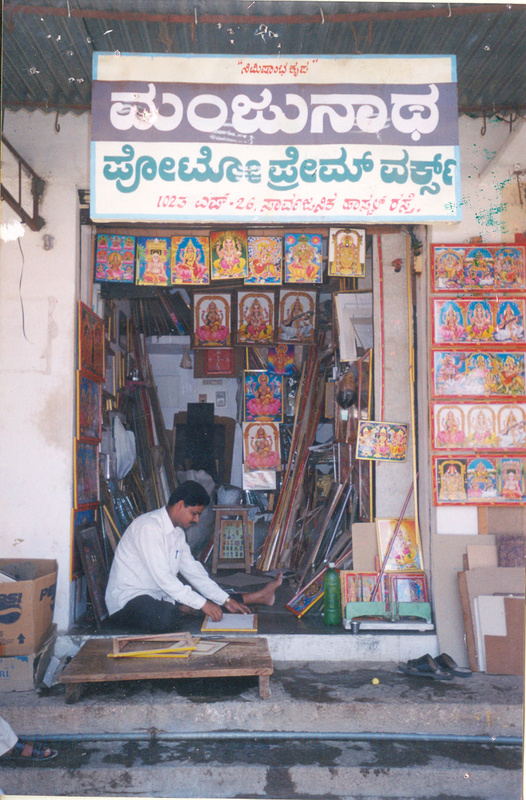 With the help of his family members, he constructed a room to set up the Kirana Store. Now, he is earning Rs. 5,000/- to Rs. 8000/- per month. With the income from the shop, he has raised the social status of her family. He is paying her loan dues regularly. He was given Education Loan for B. Tech (Mech. Eng.) Course of Rs.1,14,000/- at College of Engineering & Education Kopargaon, District Ahmednagar & now successfully pursuing it. Smt. Manju Devi is an Orthopaedically Handicapped with more than 40% disability. She availed loan of Rs. 50,000/- for Tailoring Shop from Rajasthan S.C. & S.T. 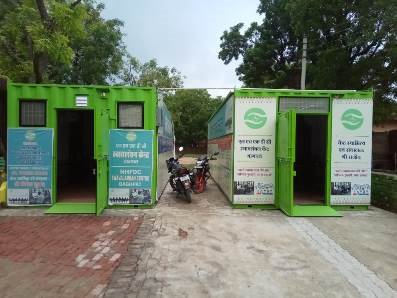 Finance & Development Cooperative Corporation (RSCFDC), Jaisalmer under National Handicapped Finance and Development Corporation Scheme (NHFDC) Schemes. Before availing loan, Smt. Manju Devi was doing job under a Tailor master. 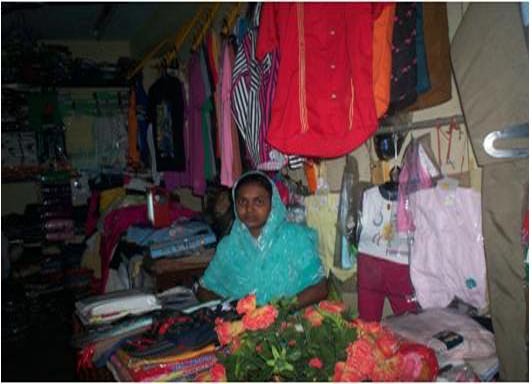 After taking loan she established her own tailoring shop in her house and has given employment to two persons. Her monthly income increased to Rs. 10,000/- per month and she is repaying installments of loan dues in time. She is very happy & thankful to NHFDC for financial help. Sh. Kiran A. Paithankar is an Orthopaedically Handicapped with more the 40% disability belongs to a poor family. He was facing financial hardship in his life. To start his own venture he contacted Maharashtra State Handicapped Finance and Development Corporation (MSHFDC), Ahmednagar for financial aid. He was sanctioned an amount of Rs.50,000/- on 25.03.07 from MSHFDC under National Handicapped Finance and Development Corporation Scheme for setting up of Electric & Electronic Sales & Service Shop. The shop is running very well. The financial assistance provided by the MSHFDC helped him a lot. At present he is well being and earning about Rs.15,000/- per month. Sh. 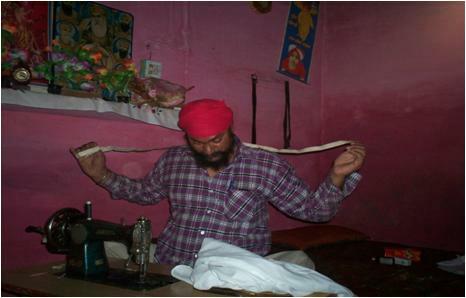 Kishore Babaji Nagle, Tal. Rauri, Ahmednager is an Orthopaedically Handicapped with more the 40% disability. During an awareness camp organized by Maharashtra State Handicapped Finance and Development Corporation (MSHFDC) at Tal. 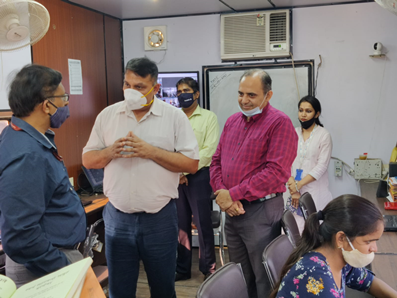 Rauri, Ahmednager to acquaint the persons with disabilities about the welfare schemes of National Handicapped Finance and Development Corporation (NHFDC), Sh. 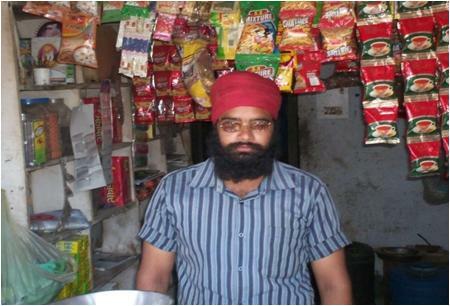 Kishore Babaji Nagle was inspired to start his own business. Sh. Kishore Babaji Nagle was holding a valid Driving License and working as a driver but he was not able to earn enough to support his family. He took a loan of Rs 4.50 lakhs on 23/06/09 for purchase of an Indigo CS under NHFDC scheme. Now, he has been able to earn Rs 15,000-20,000/- p.m. and making regular repayment of loan installments to MSHFDC. Sh. Kishore Babaji Nagle is now very satisfied and thankful to the staff of MSHFDC for their support. Smt. Kusumben Mahendrabhi Raja, Junagarh Gujarat is an Orthopaedically Handicapped with more the 40% disability. She was struggling hard to earn her living. She was sanctioned loan of Rs. 40,000/- under the schemes of National Handicapped Finance and Development Corporation (NHFDC) through Gujarat Minorities Finance and Development Corporation (GMFDC). She utilized the loan for setting up a General Provisional Store. Now, she is earning about Rs.6,000/- per month. With this income, she is supporting her family well. She is extremely happy and paying her dues regularly. Smt. Gediya N. Rajeshbhai was very poor 70% orthopaedically handicapped woman. To take care of her family, she wanted to start a Beauty Parlour. She approached Gujarat Minorities Finance and Development Corporation (GMFDC) for financial help under National Handicapped Finance and Development Corporation (NHFDC) schemes. GMFDC sanctioned an amount of Rs. 30,000/- to Smt. Gediya N. Rajeshbhai from which she purchased beauty care products/electronic gadgets used in beauty parlour. She has been successfully managing her business. Now, she is earning Rs. 2,000 to Rs. 2,500/- per month. 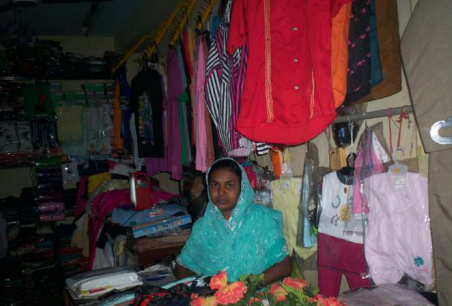 With the income from the shop, she has raised the social status of her family. She is paying her loan dues regularly. Before availing loan, Smt. 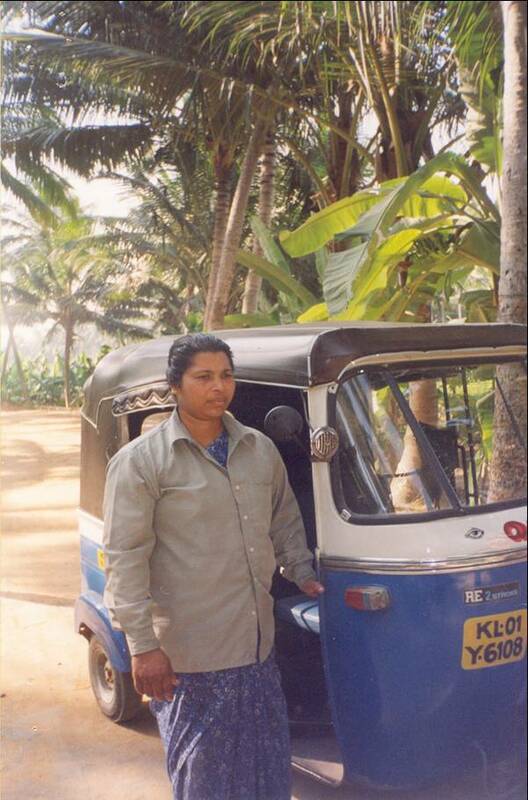 Sangita Dhiran faced many financial problems to run her livelihood. She came to know about the concessional credit schemes of NHFDC through awareness camps and ward meetings organized by Rajasthan S.C. & S.T. Finance & Development Cooperative Corporation (RSCFDC), Jaisalmer. She came forward to avail financial assistance and took a loan of Rs. 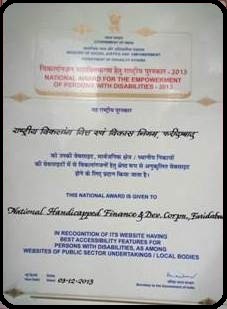 40,000/- under National Handicapped Finance and Development Corporation (NHFDC) Scheme in 2008. She started retail shop of Tailoring & Embroidery Material like threads, buttons, embroidery stripes, fancy embroidery items etc. with the help of loan received. Her shop is doing good business and in short span of time become popular in the area. She is repaying the loan regularly, infact repaying by 10th of every month. She realized the importance of small savings and invariably saves a small portion of her earnings every month for her family's future requirement. She is satisfied entrepreneur today and for this she gives credit to NHFDC & RSCFDC. Shri S. Soundarassu of Villianur, Pondicherry is an Orthopaedically Handicapped with 45% disability. He was working as a Offset Printing operator. He was given a loan of Rs.2,37,500/- under the schemes of NHFDC about 5 years ago, with which he set up his own Offset Printing Press. 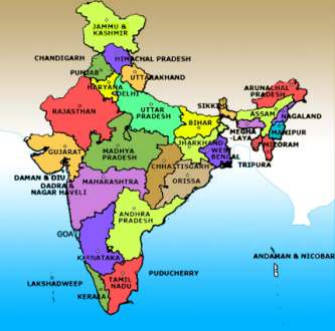 He is running his business profitably with income of more than Rs. 12,000/- per month. He is also employing two persons. His social status has also improved significantly. State Channelising Agency – Pondicherry Corporation for Development of Women and Handicapped Persons Ltd.
Shri Robinson Francis D’Souza, Mumbai, Mahrashtra is visually impaired with 100% disability. He was given financial assistance of Rs.50,000/- under the schemes of NHFDC, with this loan he set up a STD/PCO Booth sum General Store. He is running his business confidently with the help of his family member. 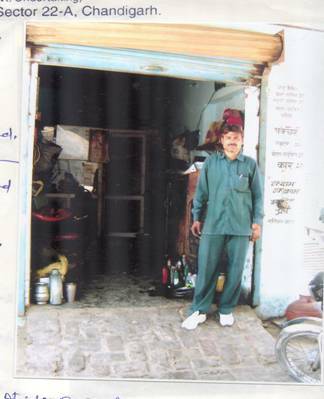 With income from this business, he has become economically self reliant and also supporting his family financially. Shri Shambhu Sarkar, Mumbai, Mahrashtra is Orthopaedically Handicapped with 60% disability. He lost his two legs in a railway accident. He was given a small term loan of Rs. 15,000/-. With this loan he purchased a tricycle and setup a mobile Pan shop on this. He is running his business of selling pan on Tricycle in a public place near Maha Palika Office, Mumbai. He earns about Rs.3,000/- p.m. and leading an economically independent life. 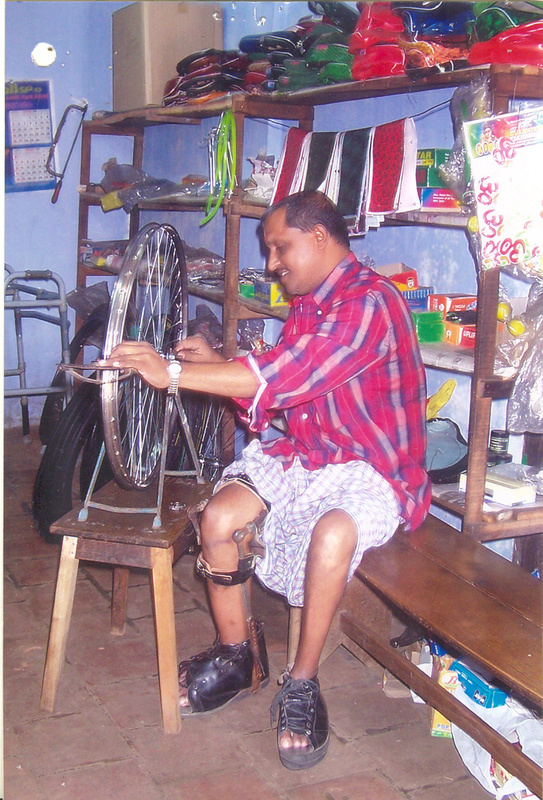 Shri Ritesh Kumar Soni, Kalridham, Chattisgarh is Orthopaedically disabled with 45% disability. He obtained a loan of Rs. 50,000/- under the schemes of NHFDC with which he started Fabrication Works. During this short duration he managed to run the business very remuneratively. He is living a dignified life. He is paying loan dues regularly. Shri Mohan Kumar Gajender, Dhamtari, Chattisgarh is Orthopaedically Handicapped with 45% disability. He was unemployed and did not have a source of income. He could not start his own business because of lack of finance. He was given loan of Rs. 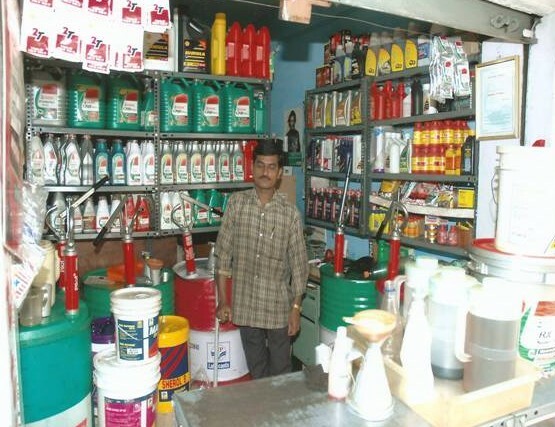 95,000/- under the schemes of NHFDC with which he started Pesticides and Fertilizer Shop. Presently, he is earning about Rs. 8,000/- to Rs.9000/- per month. He is maintaining his family well and also saving some money. He is payment the loan dues regularly. Shri Tijau Ram Jaiswal, Kabirdham, Chattisgarh is Orthopaedically Handicapped with 45% disability. He was running a very small shop for selling cloths & his income from the shop was very low. The income was not sufficient to make both ends meet. He obtained a loan of Rs. 95,000/- under the schemes of NHFDC. He expanded his business and his income from the business improved. Now he is supporting his family very comfortably and also paying the loan instalment on regular basis. Ms. Meena Kewat, Dhamtari, Chattisgarh is an Orthopaedically Handicapped with 50% disability. Despite the constrain of her mobility, she was stitching clothes at Village level. She came to know about the schemes of financial assistance for handicapped persons. She was sanctioned loan to an extent of Rs. 50,000/- under the schemes of NHFDC to start a Grocery shop. 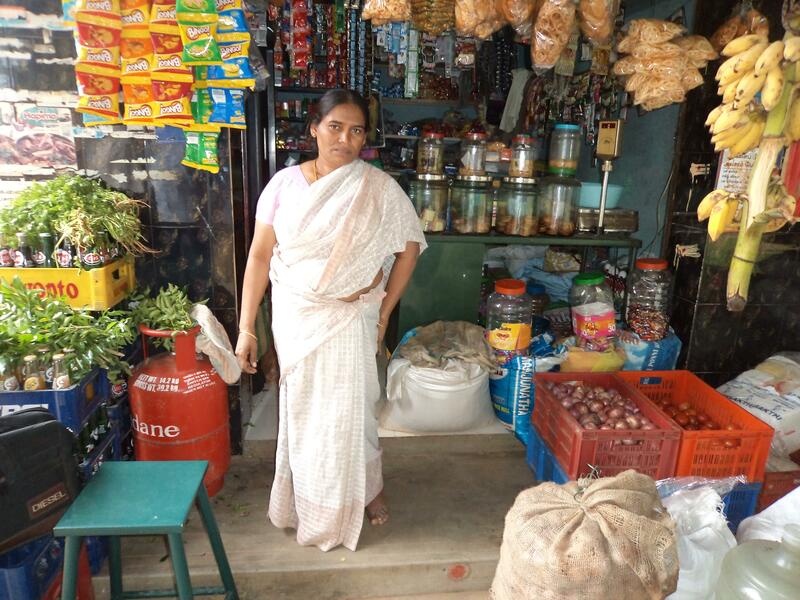 With the help of her family members, she constructed a room to set up the Kirana Store. Now, she is earning Rs. 4,000 to Rs. 4,500/- per month. With the income from the shop, she has raised the social status of her family. She is paying her loan dues regularly. Ms. Suchna Gupta of Faridabad, Haryana is orthopaedically disabled with 70% disability. She was managing a STD/Photostat/Fax service and income was about Rs.45,000/- per annum . She was given loan of Rs.1,00,000/- under the schemes of NHFDC to expand her existing activity of STD/Photostat/Fax Service. With this loan, her income went up to Rs. 84,000/- per annum. 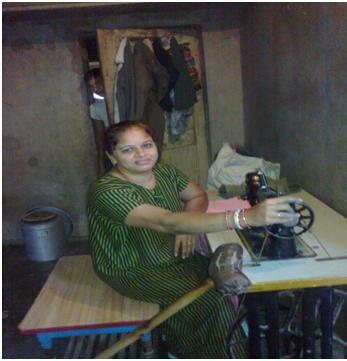 She has become economically self reliant and is also supporting her family well. Shri Wazir, Faridabad, Haryana is orthopaedically handicapped with 70% disability. Earlier he was managing a petty shop in which he was also doing electrical repair works. He was given financial assistance of Rs.50,000/- under the schemes of NHFDC. 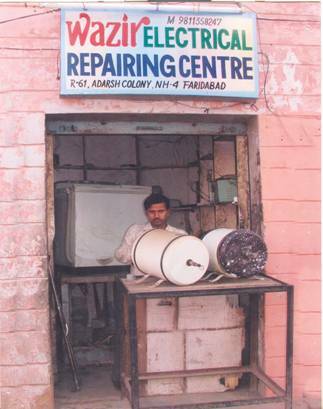 With the loan amount he purchased necessary tools and equipment and setup a electrical repair shop. He is running the activity profitably and is regular in repayments. He was given repeat loan of Rs.1.00 lakh to expand his business further. 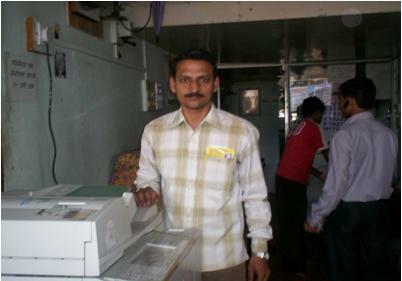 With this additional loan his income increased to Rs.6,000/- per month. He is supporting his family well and leading a comfortable life. Shri Saket Arora, Faridabad, Haryana is deaf and dumb with 100% disability in Speech & Hearing. After completing his 12th standard, he acquired some skill for manufacturing auto parts. He was given a loan of Rs. 1.00 lakh under the schemes of NHFDC to start a workshop for manufacturing auto parts. He set up a small workshop and installed a lathe machine and grinding machine. Now he is getting regular order and his earning is above Rs.75,000/- per year. He is economically well off and supporting his family well. Shri Ram Chander, Sonepat, Haryana is Orthopaedically Handicapped with 40% disability. Prior to availing loan he was working as skilled worker in some other shop. Because of his poor economic condition, he was not in a position to start his own business. He was given a loan of Rs. 50,000/- under the schemes of NHFDC. 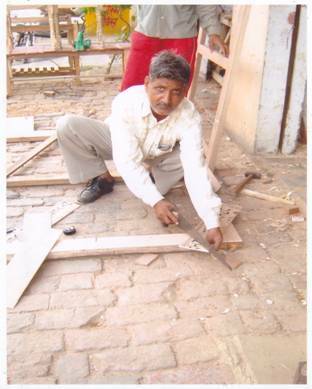 With the loan amount, he started Carpentry work in his own premises. He has also employed two skilled workers to assist him. His present earning is about Rs. 72,000/- per annum. His socio economic condition has improved considerably. Shri Suresh Kumar Jain, Hissar, Haryana is an Orthopaedically Handicapped with 100% disability. He was struggling hard to earn for the living. He was sanctioned loan of Rs. 50,000/- under the schemes of NHFDC. He utilized the loan for setting up a Tea Stall. Now he is earning about Rs.4,000/- per month. With this income, he is supporting his family well. He is extremely happy and paying his dues regularly. Shri Pyare Lal Verma, Hissar, Haryana is an Orthopaedically Handicapped with 45% disability. 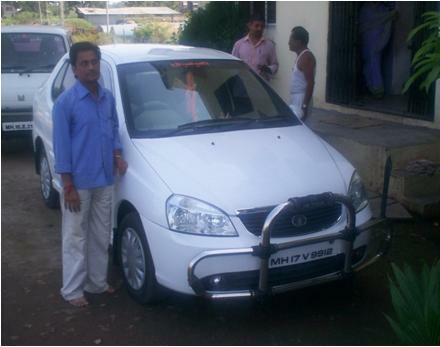 He had good knowledge and experience about auto repairing. Prior to obtaining loan from NHFDC he was working as a helping hand in auto repair shop but his income was not enough to support his family. He was given loan of Rs. 50,000/- under the schemes of NHFDC with which he started an auto repair shop. Before the loan his income was only about Rs. 18,000/- per annum. After the loan, his earning has increased to about Rs. 5,000/- per month. He is now supporting his family well & living a dignified life. Smt. 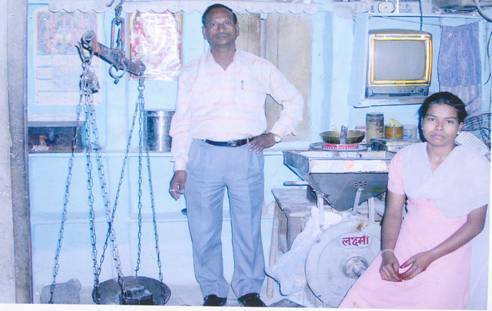 Rammurthy Devi, Hissar, Haryana is an Orthopaedically Hanidacapped with 70% disability. 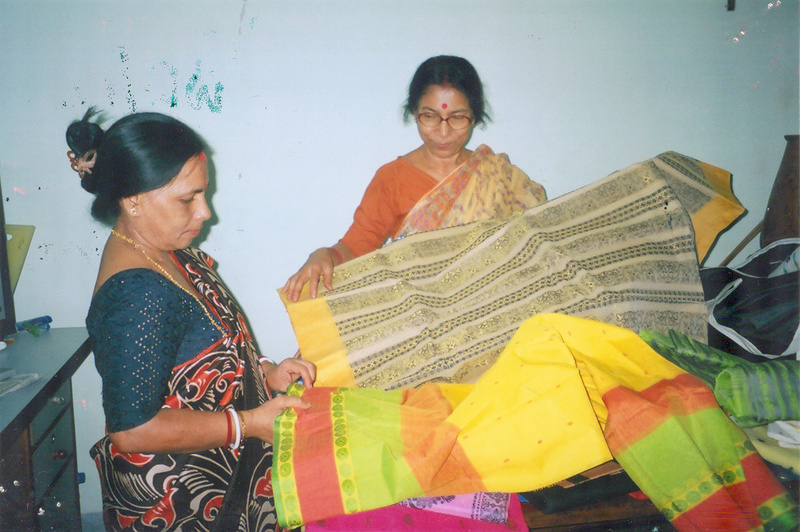 Though she was experienced and skilled in tailoring and embroidery, she was not able to get reasonable job work. She was given a loan of Rs. 50,000/- under the schemes of NHFDC with which she established her knitting and embroidery work by procuring modern knitting and embroidery machines. Now she is earning about Rs. 48,000/- per annum. She is leading a dignified life. She is also paying his dues regularly. 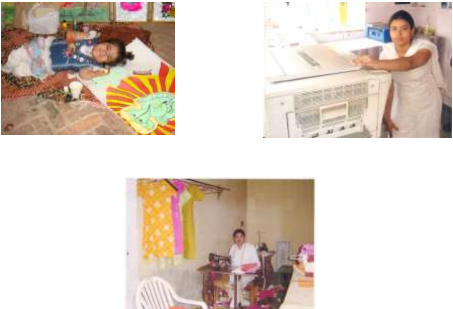 Kumari Tara, Rayagarh, Madhya Pradesh is an Orthopaedically Handicapped with 50% disability. She was wholly dependent on her family. Her family was working in the local brickiln and family was very small. She obtained a loan of Rs. 50,000/- under the schemes of NHFDC to set up a floor mill with her. Not only her family members are supporting her in this venture but also working in the floor mill. The income of the beneficiary and that of the family has risen to Rs. 6,000/- per month. Now the family is supported on this income. Shri Haridas Mehra, Katni, Madhya Pradesh is an Orthopaedically Handicapped with 60% disability. 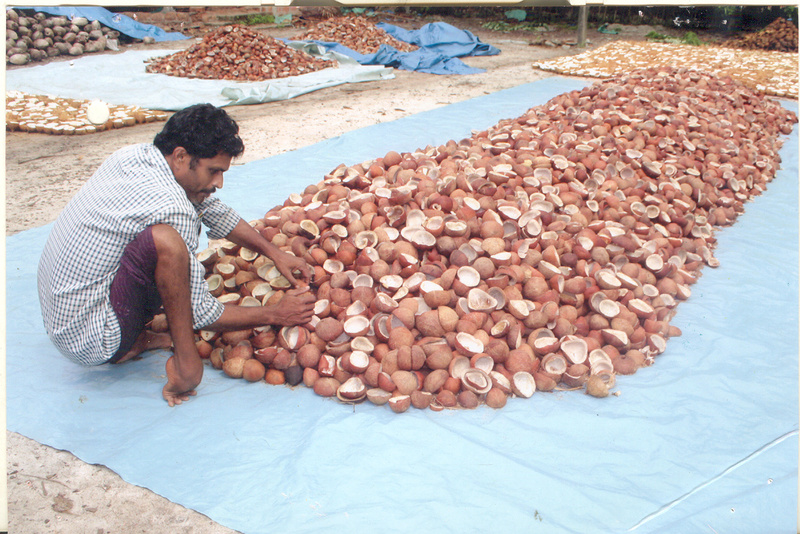 Before taking loan from NHFDC he was dependent on his family for making his livelihood. Sometimes used to sell liquor to earn small amount of money. He obtained a loan of Rs. 80,000/- under the schemes of NHFDC and set up a small business of selling of utensils. He is selling the utensils in the local market and earning about Rs. 3,000/- to Rs. 4,000/- per month. He has become economically self dependent and living a dignified life. 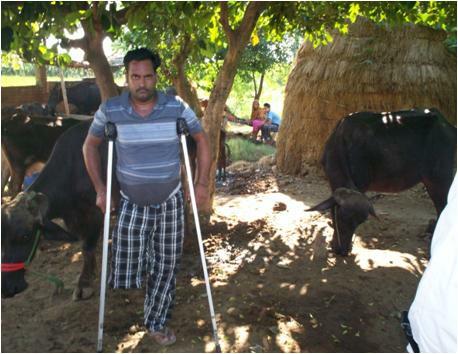 Shri Taiyub Ali, Khargone, Madhya Pradesh is Orthopaedically Handicapped with 40% disability. He was working in a book binding shop. The income from the wages was insufficient and he was facing lot of hardship. He obtained a loan of Rs. 40,000/- under the schemes of NHFDC and set up his own business of book binding. As business flourished in a very short time, he was prompted to set up an Off-set printing machine with his own source of income. He is now getting work orders for printing and binding from government institutions also. His income has gone up considerably and his economic and social status has improved. Shri Akbar Ali, Khargone, Madhya Pradesh is Orthopaedically Handicapped with 40% disability. Before taking loan from NHFDC, he was working in a hardware shop and his income was not sufficient to support his family. He obtained a loan of Rs. 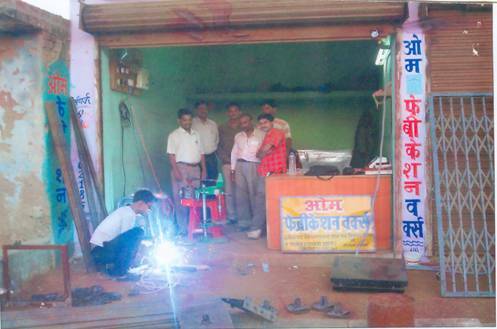 50,000/- under the schemes of NHFDC and has set up a shop for sales & trading of hardware and auto parts. 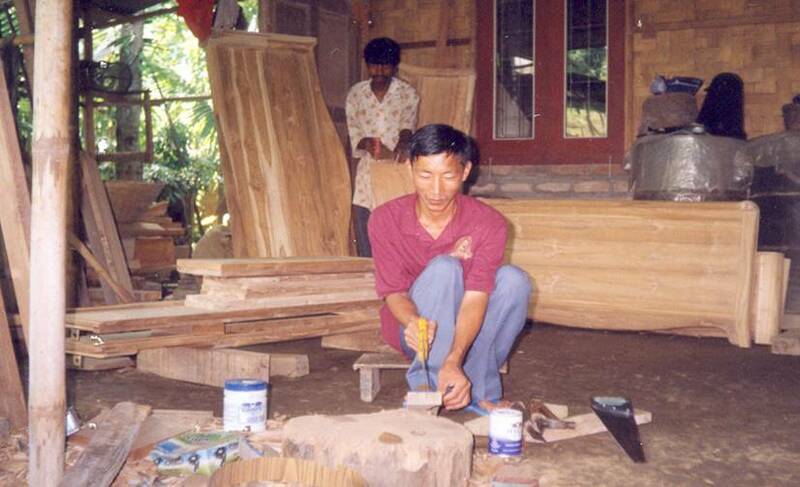 His income has increased considerably and he is able to support his family well. Shri K.R. 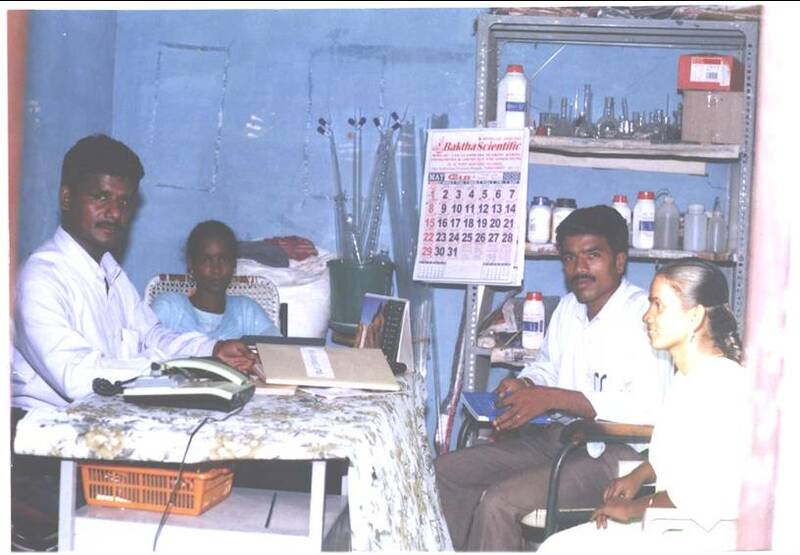 Radhakrishnan, Palakkad, Kerala is Orthopaedically handicapped with disability of 75%. He was working in a cycle repairing shop and his income was meagre. He was enterprising and wanted to establish his own shop. 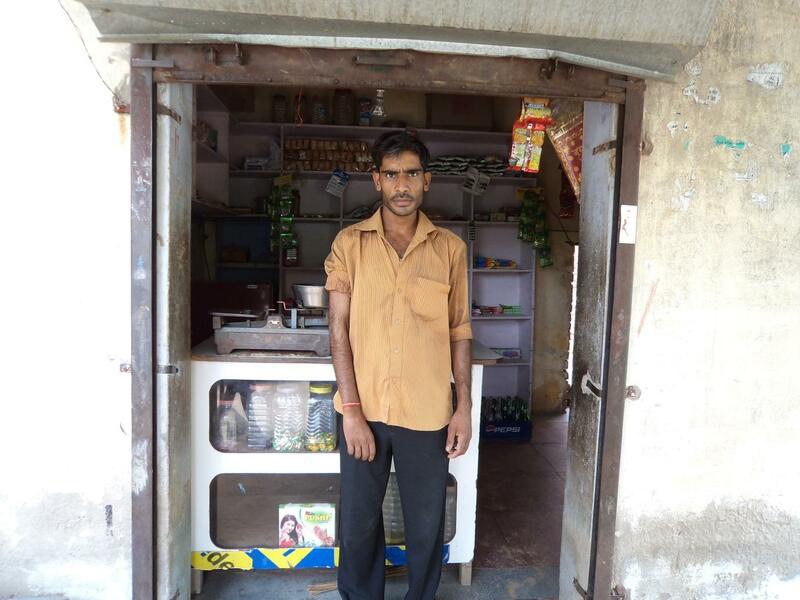 He was given loan of Rs.65,170/- under the schemes of NHFDC to set up his own shop. He is working very hard and confidently running his activity. He is very proud to he is owner of the shop. 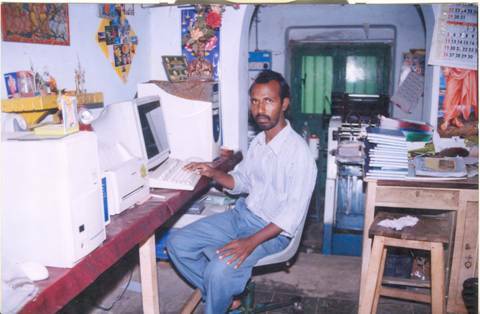 He is now economically self reliant and earning about Rs.4,000/- p.m.
Shri G.A. Salim of Wayanad District, Kerala is 43 years old and Orthopaedically Handicapped with 40% disability. He is married and has two children. He was unemployed and facing acute financial hardship and was unable to support his family. He was given a loan of Rs. 95,000/-. With this he set up a coconut processing business. He is running his business confidently. He is now earning about Rs. 5,000/- per month and supporting his family well. His economic status has improved considerably. Shri John Mathew, Pathanamthitta, Kerala is Deaf with 90% speech hearing disability. He has studied upto 7th Class and did not have a permanent source of income. He was unable to support his family of three members. He obtained a loan of Rs. 95,000/- under the schemes of NHFDC. With this, he set up a Book Shop. Soon his sales picked up and presently he is earning about Rs. 5,000/- per month. His economic and social status has improved. Kumari V.S. Indulekha, Earnakulam, Kerala is an Orthopaedically Handicapped with 40% disability. She is B. 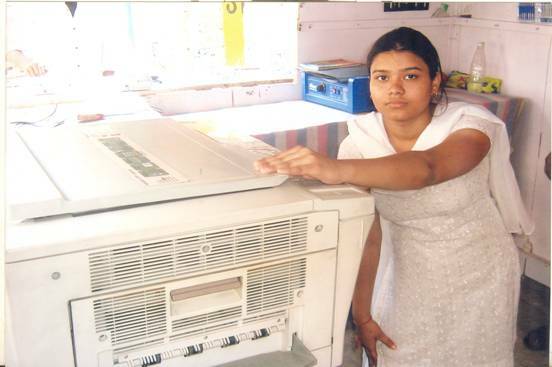 Tech in Production Engineering but was unable to get suitable job due to the constrain of her disability. She was given a loan of Rs. 50,000/- under the schemes of NHFDC. With this, she set up a DTP centre for job work. She is getting sufficient work orders and her income is between three to four thousands per month. She wished to add few more computers to increase her income. She is satisfied that the loan from NHFDC has helped to improve her financial and social status. 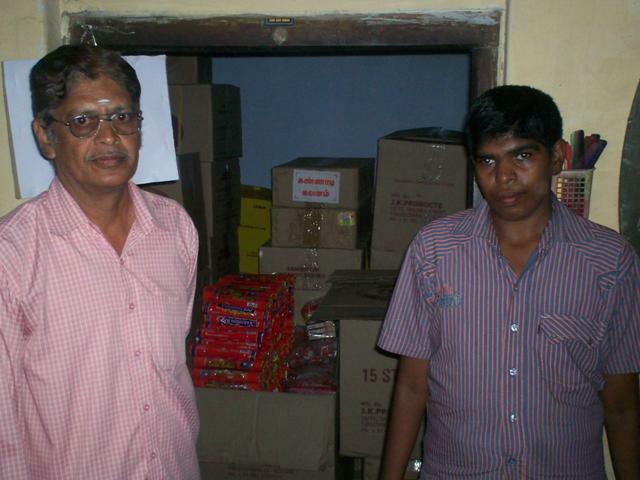 Shri P. Damu of Thiruvananthapuram, Kerala is a Commerce graduate and Visually Impaired with 75% disability. He was unemployed and was looking for a opportunity for a regular source of income. He obtained a loan of Rs. 50,000/- under the schemes of NHFDC and set up a photo lamination and selling activity. He is presently earning about Rs. 5,000/- per month and supporting his family well. His economic and social status has also improved considerably. Shri P.D. Dinesh Babu of Alappuzha, Kerala has studied upto 8th standard and is Orthopaedically Handicapped with 60% disability. and he was running small unit of coir yarn spinning. 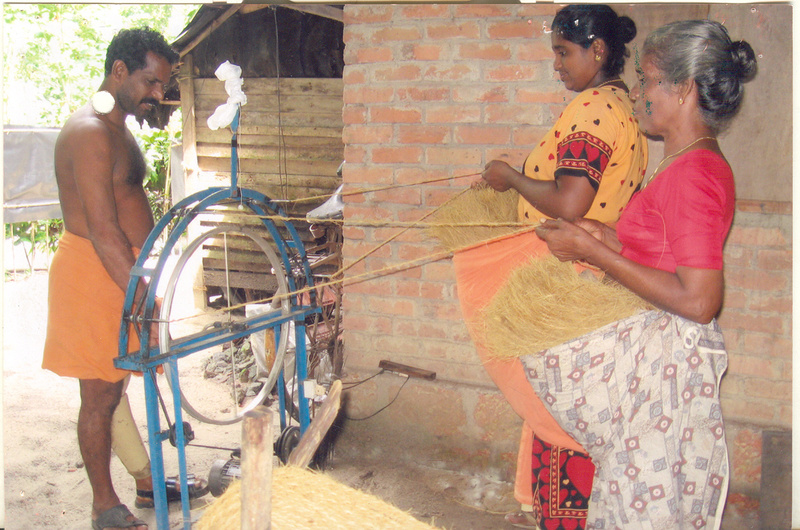 Though he had good experience and skill in coir yarn spinning, he was not able to enhance his income due to non-availability of capital to purchase raw material. He obtained a loan of Rs. 76,000/- under the schemes of NHFDC and invested the amount in the spinning unit for up-gradation and purchase of raw material. His income from the spinning unit grew and now he earns around Rs. 5,000/- per month. With the enhanced income he is supporting his family well and his economic and social status has improved. Shri Balvinder Kumar, Chandigarh was affected with paralysis when he was 25 years and became Orthopaedically Handicapped with 50% disability. He has a family of 4 members and had no source of income to maintain the family. He obtained a loan of Rs. 10,000/- under the schemes of NHFDC and started a Cosmetic Shop. With his hard work, he established himself in the business in a very short time. Presently he is earning Rs. 3,000/- per month. He is regularly paying the dues. Shri Sadhu Ram, Chandigarh is polio affected. He is Orthopaedically Handicapped with 90% disability. He is completely uneducated and had no source of income. He was given financial assistance of Rs. 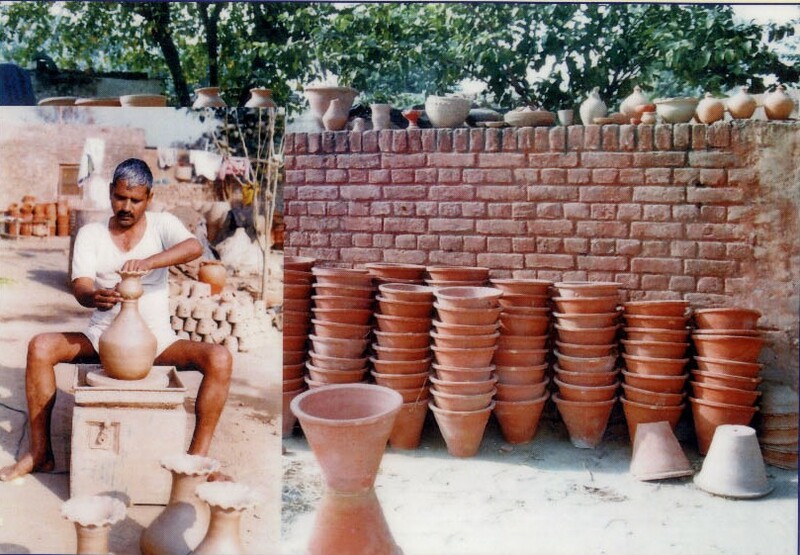 50,000/- under the schemes of NHFDC with which he started the manufacturing of earthen pots. Now he is earning about Rs. 5000/- per month. He is supporting his family very comfortably and paying his dues regularly. Shri Amit Kumar, Chandigarh is Orthopaedically disabled with 60% disability. He was given loan of Rs. 60,000/- under the schemes of NHFDC. 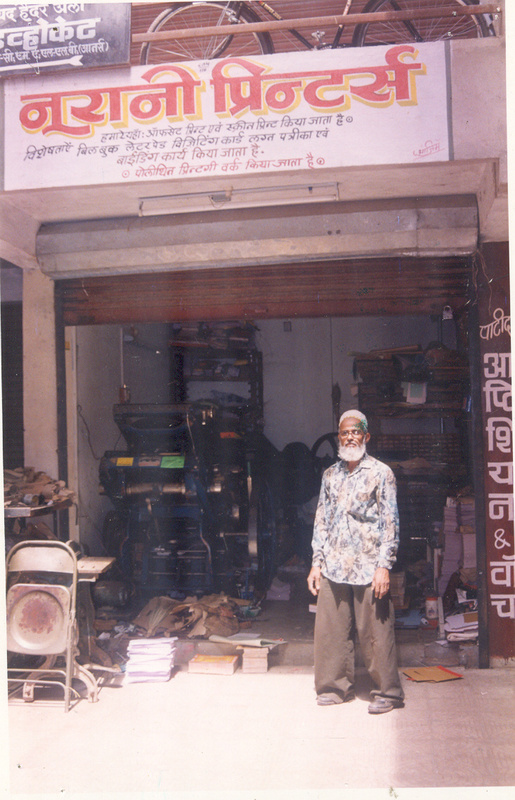 With the loan amount, he started Scooter repairing and spare parts business. Later, he switched over to stationery and cosmetic selling business for better return on investment. Now his monthly income is Rs. 8,000/- which has uplifted his socio-economic status. He is regularly paying his dues. Smt. 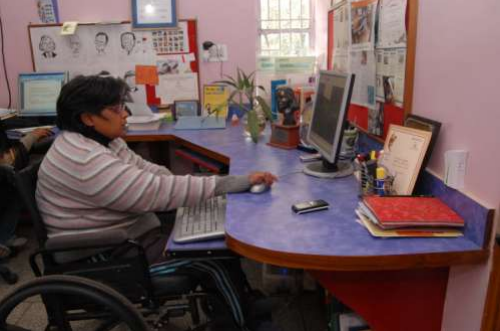 Anupama Sharma is Orthopaedically Handicapped with 50% disability. She is educated upto matric. She was given financial assistance of Rs. 50,000/- under the schemes of NHFDC. With which she started STC/PCO booth. She is earning of Rs. 5,000/- per month. She has repaid her loan. Ms. Alfusa is Orthopaedically Handicapped with 100% disability. She can not stand & walk properly. She was given a loan of Rs. 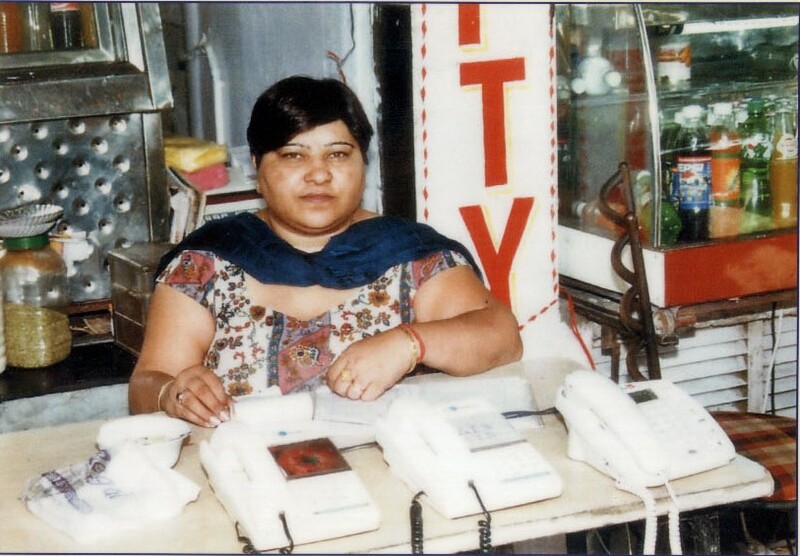 10,000/- under the schemes of NHFDC with which she set up a business of selling of audio cassettes and fancy items. Now she is earning about Rs. 2,000/- per month and paying her dues regularly. 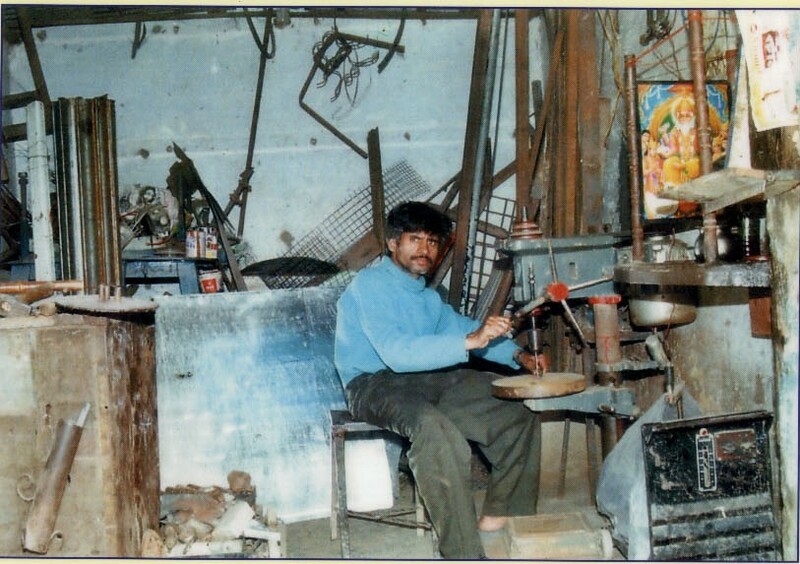 Shri Mohan Lal, Chandigarh, became Orthopaedically Handicapped at the age of 16 years while working on a flour mill. His disability is 40%. He has a family of 5 members to support but had no source of income. He was given loan of Rs. 50,000/- under the schemes of NHFDC. With this loan, he started the Welding Unit. He is managing it efficiently. Presently, he is earning about Rs. 4,000/- per month and supporting his family well. He is paying his dues regularly. Shri Kumar alias Rachaiah, Mysore, Karnataka is an Orthopaedically Handicapped with 40% disability. He was conversant with photo fame work. He wanted to start an income generating but could not do since he did not have finance. He was given a loan of Rs. 25,000/- under the schemes of NHFDC. He invested the loan amount to set up a photo frame shop. He ploughed back part of his income in his business and his capital has increased to Rs. 50,000/-. His income is gradually improving and he is repaying his loan regularly. Now he is self dependent and leading a happy life. Shri Lingaraju, Bangalore, Karnataka aged 33 years old is Orthopaedically Handicapped with 70% disability. He suffered from polio at the age of 2 and is using crutches to move around. He was unemployed for long time and had no source of income to support himself and his family. He took a loan of Rs. 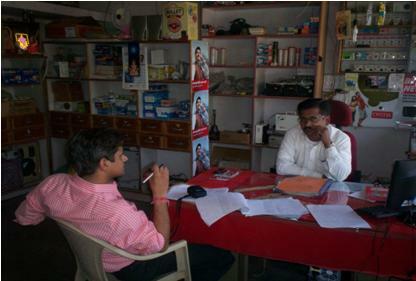 20,000/- under the schemes of NHFDC with which he started a sales & trading of lubricants. Now he is running his business successfully and earns about Rs. 1,200/- to Rs. 1,500/- daily. He is truly a self-made entrepreneur and is a source of inspiration to many like him. He is leading a dignified life. 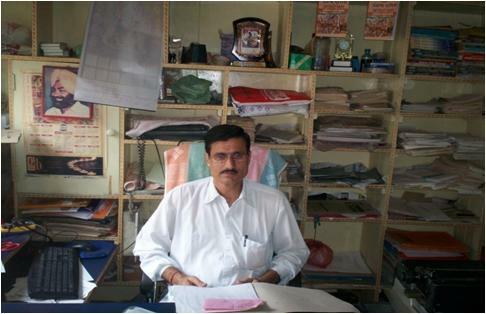 Shri Murthy, Bangalore, Karnataka is an Orthopaedically disabled person with 80% disability. He had good knowledge of tailoring. However, he did not have a source of income. 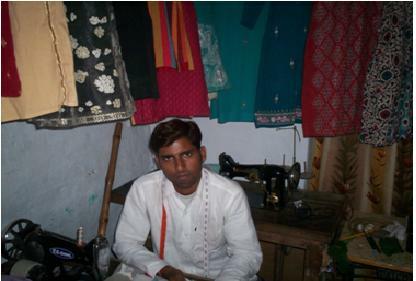 He wanted to set up a tailoring shop but could not do so because of lack of finance. He was given a loan of Rs. 15,000/- under the schemes of NHFDC. With this he started tailoring and embroidery work. He is now earning about Rs. 5,000/- per month and supporting his family very well. He is leading a dignified life. Shri Dharmender Kumar Sharma, Poonta, Himachal Pradesh is Orthopaedically disabled with 80% disability. 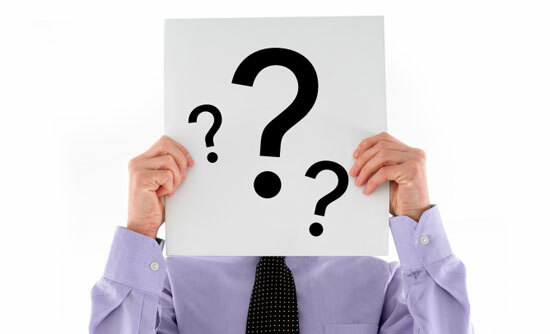 He was having a good business experience yet due to paucity of funds he was unable to make use of the same. He came to know about NHFDC during an awareness camp. He obtained a loan of Rs. 50,000/- under the schemes of NHFDC to set up a cloth shop. Now, he is earning enough for himself and his family. Shri Naresh Kumar Sharma, Shimla, Himachal Pradesh is having locomotive polio deformity with 42% disability. He has undergone a vocational training from I.T.I. and his annual income Rs. 60,000/-. He was given a loan of Rs. 1,00,000/- under the schemes of NHFDC for setting up General Store. Since he was having good knowledge about electronic trade and was more confident of pursuing the activity in the field of electronics, he set up a computer centre with the loan amount. He is executing the job orders of various offices related to typing, photo processing, scanning etc. He is earning about Rs.500/- to Rs. 600/- per day. His standard of living has increased and enjoying a good social status. Shri Om Prakash Sharma, Shimla, Himachal Pradesh is an Orthopaedically Handicapped with 40% disability. He studied upto 5th class. Before obtaining loan from NHFDC his annual income was Rs. 10,000/-. He has been given a loan of Rs. 3,68,900/- to purchase a Mahindra Single Cab for tourist activity. 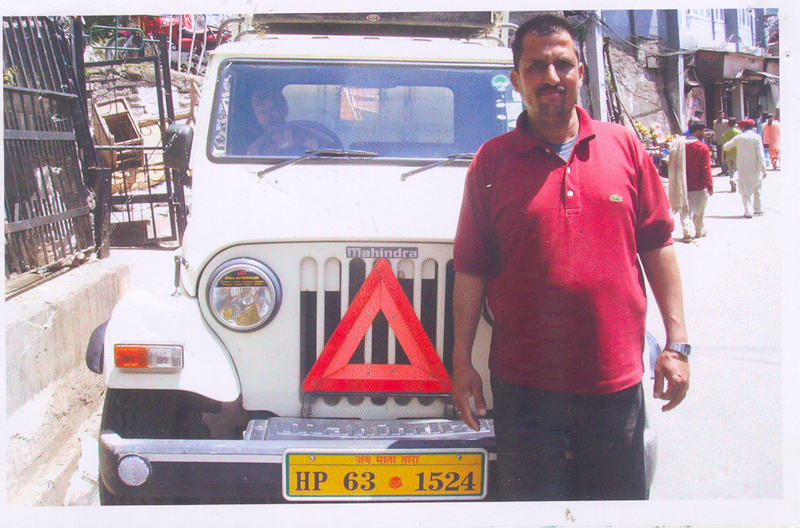 Since, Shimla is a prominent tourist place, he is doing a good business and earning about Rs. 500/- to Rs. 600/- per day. With the enhanced income, he is managing his family very well and his socio economic status has improved considerably. Smt. Santa Mukherjee of North 24 Parganas, West Bengal is Orthopaedically Handicapped with 40% disability. She is a very talented person and an expert in playing Violin. She also takes part in the programs of All India Radio, Doordarshan etc. However, her economic condition was not good. She was given a loan of Rs. 50,000/- under the schemes of NHFDC for setting up a store for selling Sarees and readymade Garments. She has been running her business confidently and also maintaining her family very well with the income from the business. 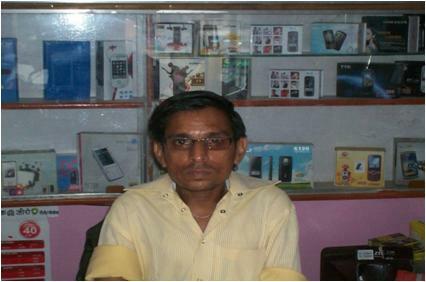 Shri Nisar Ahmed, Kolkata, West Bengal is Visually Impaired with 100% disability. He was given a loan of Rs. 50,000/- under the schemes of NHFDC for Trunk manufacturing unit. He is running his business confidently and his income has improved. He is supporting his family well. Shri Anirban Kar, of North 24 Parganas, West Bengal is deaf and dumb with 60% disability. He has studied upto 8th Class. 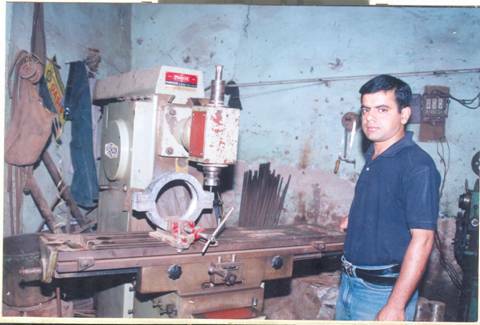 He is technically trained in Machinist trade from Kolkata Deaf and Dumb School. He was given a loan of Rs. 50,000/- under the schemes of NHFDC for manufacturing of molded plastics. He has been running his business well and also maintaining his family with the income from his business. Md. Abu Muccha of North 24 Parganas, West Bengal is a Deaf and Dumb with 60% disability. 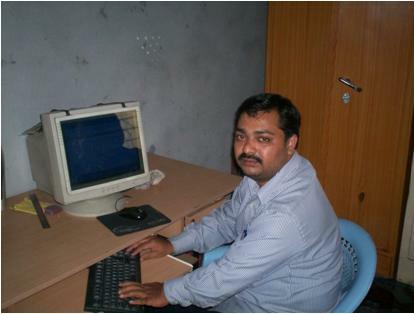 He has undergone training in Tailoring trade from Commercial Training College, Kolkata and also obtained Computer Training from WEBEL Informatics Limited. He has a certificate in Soft Toy making and Fashion Designing. He was given a loan of Rs. 50,000/- under the schemes of NHFDC to set up a tailoring unit for making soft toys and ready made garments uniit. With his efforts and zeal he has been running the Tailoring unit very profitably and also employing few more workers to assist him in his activity. He has participated in the India International Trade Fair in 2006 and in Suraj Kund Crafts Mela in February, 2007. Shri Watisungba of Dimapur, Nagaland is Hearing Handicapped with 50% disability. He could not get education because of his disability. He was determined to keep away the disability from his ultimate goal. He had talent for making furniture but nobody helped him in setting up some business. He came to know about the schemes of NHFDC and under the schemes of NHFDC, he was given a loan of Rs. 50,000/-. He set up a Furniture manufacturing unit with the loan amount. Now he is earning a handsome amount and leading a prideful and dignified life. He is paying the amount regularly. Shri Backthavachalan, Pondicherry is Orthopaedically Handicapped with 75% disability. 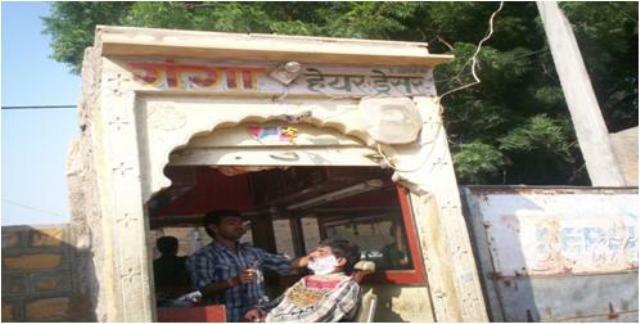 Before taking the loan, he was working in a barber shop. He was given loan of Rs.50,000/- under the schemes of NHFDC with which he started supplying lab articles for schools. Now he is profitably running his business and earning about Rs. 7,000/- per month. He is also employing two persons. His social status has also improved significantly and he is supporting his family well. He is paying the loan dues regularly. Kum. Annama M. of Thiruvananthapuram, Kerala is Orthopaedically Handicapped with 40% disability. He was given loan of Rs.50,000/- under the schemes of NHFDC for purchase of autorikshaw. She is earning good income and is economically independent & confident woman. Her social status has also improved significantly and she is also supporting her family well. She is payment the loan dues regularly.